How do you get past the trap of having your zip code and circumstances of birth determine your level of education, health care, food choices and exposure to the arts? The Laurie M. Tisch Illumination Fund’s mission is to improve access and opportunity for all New Yorkers and foster healthy and vibrant communities. For us that means finding strategies that help to level the playing field. The foundation’s programs address disparities in several areas, including access to healthy food, the arts and economic opportunity. One of the areas in which we see vast disparities is in diet-related diseases, with epidemic rates of diabetes, obesity and heart disease, particularly in low-income communities where access to affordable and nutritious food is a challenge. These health problems devastate individuals, their families and whole communities. That’s what inspired us to make our first major grant addressing food access – a partnership with the NYC Department of Health and Mental Hygiene in 2008 to launch the NYC Green Cart initiative, which used mobile vending to increase access to fresh fruits and vegetables in targeted neighborhoods. After seeing progress and identifying new opportunities, we decided to go deeper. 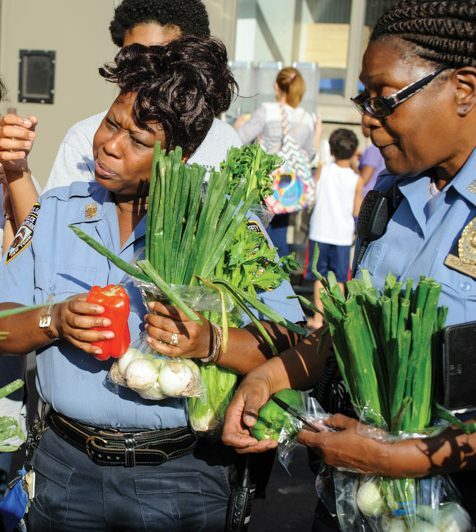 In 2013 we launched Healthy Food & Community Change, a $15 million, 5-year commitment in New York City. We concentrated on two programmatic strategies: deep, neighborhood-based initiatives that take a holistic approach to community change, and public-private partnerships that forged collaborations across sectors so that grants and policy align and have a broad impact. We commissioned Rockefeller Philanthropy Advisors, one of the world’s leading philanthropy consulting and donor services organizations, to study the Healthy Food & Community Change initiative – to mine it for learnings that we could share with funders, organizations, leaders of the healthy food movement, policymakers and philanthropists who are considering new work in the field. We’ve seen new strategies launched, new players engaged, communities mobilized, progress on many fronts, and new trends emerge. Many of the programs and models in this report can be learned from and adapted. We believe the field is poised for even greater impact, and hope that others will build upon this work. 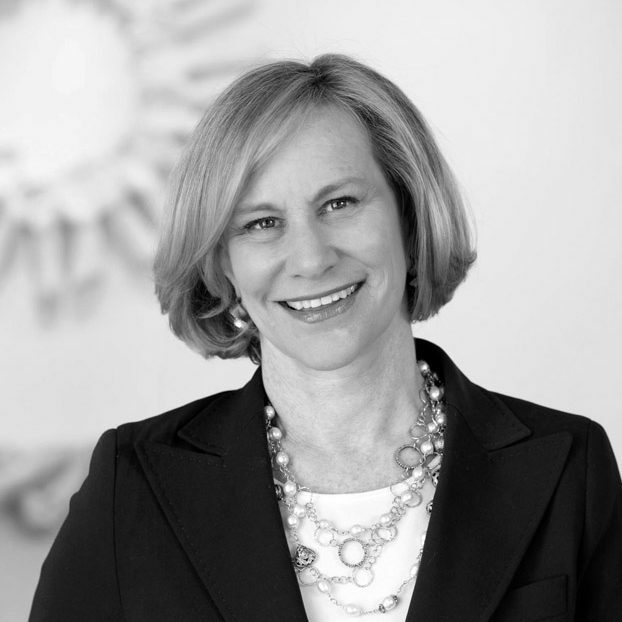 Rockefeller Philanthropy Advisors has been honored to serve as a strategic partner of the Laurie M. Tisch Illumination Fund since 2008. Our mission is to help donors create thoughtful, effective philanthropy throughout the world. In the case of the Illumination Fund, we have provided research and counsel to help them design new initiatives and maximize impact. All of the larger programs were evaluated, in some cases internally and in some cases by third parties. The results demonstrate multiple levels of impact, including quantitative metrics and qualitative data. Food sounds like a simple topic, but access to healthy food and healthy choices is remarkably complex because it’s bound up in long-term, deeply rooted issues of economic opportunity, community resilience, equity, and infrastructure. So beyond facts and figures related to specific grants, what we find compelling are the learnings and opportunities for communities that Healthy Food & Community Change produced. The Healthy Food & Community Change initiative has been catalytic for organizations and agencies citywide. The Illumination Fund was the first foundation supporter for several major initiatives, enabling promising programs to come to fruition. In other cases, particularly with smaller organizations, the Fund’s support helped expand programs and build capacity. It has also contributed toward systems change in New York and beyond. For example, health care providers increasingly link food insecurity and health; community development corporations identify healthy food as an essential ingredient in neighborhood revitalization; and food has emerged as an economic opportunity for residents. This report uses case studies of grantees to illustrate these cross-cutting themes. As philanthropy advisors, we see new opportunities for a broad range of funders – not just those focused on food systems – who are supporting communities in building a stronger future. We hope this report is a valuable resource, and an engaging read. New York City is often referred to as a city of neighborhoods. Vibrant and diverse, New York City is home to 800 languages and made up of communities from all around the world. Progress has been made in reducing health disparities in New York City over the past two decades, but significant inequalities remain among New Yorkers of different economic and racial/ethnic groups. So why are there such profound disparities in health outcomes? Decades of harmful policies such as residential and commercial redlining and zoning laws as well as disinvestment has led to increased concentrated poverty levels and unemployment disproportionately affecting communities of color. Low-income neighborhoods suffer from inadequate access to healthy foods and an overabundance of corner stores and fast food chains. Extensive research nationally has shown that lack of access is an impediment to consumption of healthy foods such as fruits and vegetables. Yet, while access is necessary to a healthier diet, it isn’t sufficient. Many factors influence purchasing of fruits and vegetables, including food prices and limited family budgets, time to shop and cook, knowledge, skills, familiarity and preferences, and food companies aggressively advertising unhealthy products loaded with sugar and salt. Low-income residents also report that even when local stores carry fruits and vegetables, it is often of poor quality. As a consequence, diet-related diseases such as diabetes, heart disease and obesity are at epidemic levels. The consequences devastate individuals, families and communities, and drive up our country’s health care costs. But there is hope. Community members, government agencies, and nonprofit organizations have mobilized to address these issues and to envision a healthier future. Throughout New York City and across the country, there’s an explosion of food access initiatives, community-led strategies, and systems and policy changes designed to address food insecurity, health equity and economic opportunity. 1 Li W, Zheng P, Huynh M, Castro A, Falci L, Kennedy J, Maduro G, Lee E, Sun Y, and Van Wye G. Summary of Vital Statistics, 2016. New York, NY: New York City Department of Health and Mental Hygiene, Bureau of Vital Statistics, 2018. 2 Myers C, Olson C, Kerker B, Thorpe L., Greene C., Farley T. Reducing Health Disparities in New York City: Health Disparities in Life Expectancy and Death. New York: New York City Department of Health and Mental Hygiene, 2010. Poor health, food insecurity and diet-related diseases are dramatically higher in New York City's poorest neighborhoods. The poverty rate is more than 3 times higher. The food insecurity rate is 2 times higher. The obesity rate is more than 2.5 times higher. The diabetes rate is more than 4 times higher. Average life expectancy is 9 years lower. It all started with street vendors. In 2008, the Laurie M. Tisch Illumination Fund partnered with the Mayor’s Fund to Advance New York City and the New York City Department of Health and Mental Hygiene to launch the NYC Green Cart Initiative, an innovative public health and economic development strategy to increase the availability of fresh produce in neighborhoods where access is a challenge and there are high rates of diet-related diseases such as diabetes, obesity and heart disease. Street vendors have been a vital part of the New York City landscape for centuries. But the City has a cap on the number of street vending permits, leading to long waiting lists for prospective vendors, a black market for permits, and a tendency for street vendors to set up in busy parts of Manhattan, whether they sell hot dogs, halal food, ice cream or fruit. In 2008, the Mayor and City authorized the Department of Health to issue up to 1,000 new street vending permits – but only to sell fresh fruits and vegetables, and exclusively in targeted neighborhoods where the data say that consumption of fresh produce is low and the rates of obesity, diabetes, and heart disease are high. The NYC Green Cart Initiative was a blend of public policy, private philanthropy and grassroots entrepreneurship. The Laurie M. Tisch Illumination Fund supported vendor training, business development assistance and low-interest loans, as well as design, marketing and community outreach and nutrition education to promote consumption of fresh fruits and vegetables from Green Cart vendors. The Fund’s grants also enabled Karen Karp & Partners, a food business and policy consulting firm, to provide on-the-ground assistance and advice to the Green Cart vendors. The Fund augmented the initiative with publication of NYC Green Cart Cookbooks that were distributed for free to the vendors to hand out to their customers, and funded a documentary film, The Apple Pushers, that was used by community organizations across the US to raise awareness of food access issues as well as immigrant entrepreneurship. Ten years later, the NYC Green Cart initiative is going strong and self-sustaining. Today, there are 320 vendors using these permits to operate Green Carts in neighborhoods such as the South Bronx, East Harlem, Central Harlem, Bedford Stuyvesant and Bushwick, and entrepreneurs create new Green Cart businesses every year. And because many vendors have at least one additional employee, several hundred jobs have been created. Regardless of whether or not the vendors continue their businesses, they develop sales, business management and customer relations experience and skills that help them obtain other work or start other businesses, creating even greater economic impact for families and communities. Several research studies have demonstrated even more dimensions of impact. According to a study led by Columbia University’s School of International and Public Affairs, 71% of customers surveyed reported increased consumption of fresh fruits and vegetables since shopping at Green Carts. 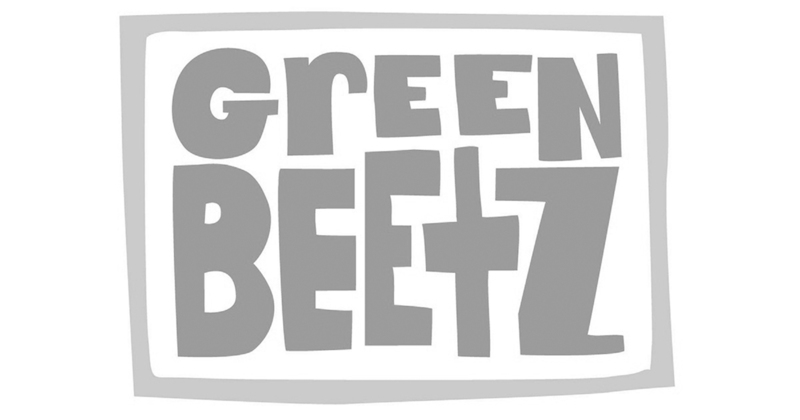 Additionally, the researchers concluded that the Green Carts are reaching the targeted populations: 68% of customers earn less than approximately 200% of the federal poverty level, and 50% of customers are “always” or “sometimes” worried about having enough money to buy fresh fruits and vegetables. Increased consumption of fresh fruits and vegetables since with Green Carts. Source: Fuchs, E. and Holloway, S., Columbia University School of International and Public Affairs, Innovative Partnership for Public Health: An Evaluation of the New York City Green Cart Initiative to Expand Access to Healthy Produce in Low-Income Neighborhoods, 2014. A multi-year study by the NYC Department of Health and Mental Hygiene found that there was a beneficial spillover effect on other food stores in neighborhoods where Green Carts operated. Stores that had not sold fruits and vegetables before the introduction of Green Carts started doing so. 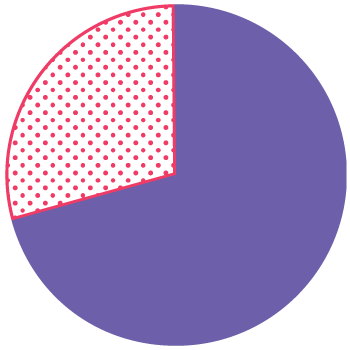 The percentage of food retail establishments that sold fruits and vegetables increased from 50% in 2008 to 69% in 2011. There were no significant changes in availability in comparable neighborhoods that did not have Green Carts. Most of the increases in availability in Green Cart neighborhoods was at bodegas or corner stores. A study by researchers based at New York University’s School of Medicine and Wagner School of Public Service, published in 2017 in the Center for Disease Control’s Preventing Chronic Disease journal, found that customers who used SNAP benefits (formerly known as food stamps) at Green Carts used that purchasing power to increase their purchases. 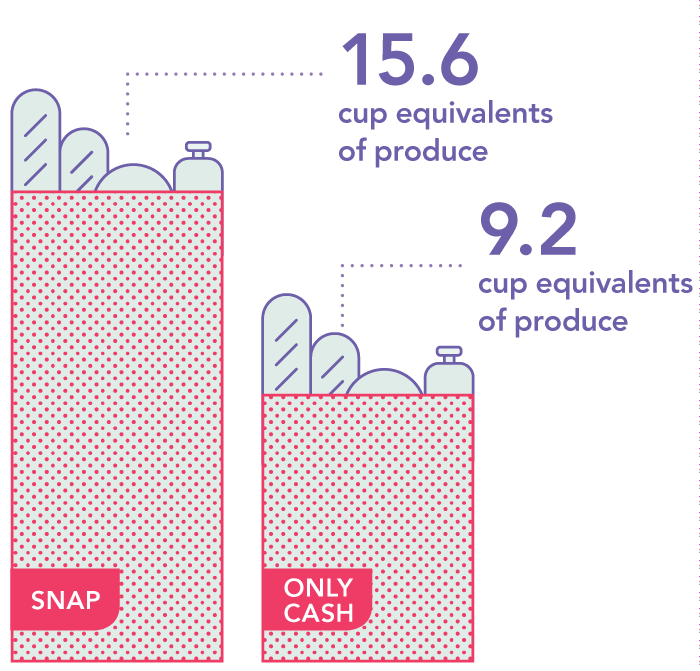 At Green Carts that are equipped with wireless Electronic Benefit Terminals, customers using SNAP benefits bought on average 6.4 more cup equivalents of produce than those who paid with cash. Innovative Partnership for Public Health: An Evaluation of the New York City Green Cart Initiative to Expand Access to Healthy Produce in Low-Income Neighborhoods. Source: Breck A, Kiszko K, Martinez O, Abrams C, Elbel B. Could EBT Machines Increase Fruit and Vegetable Purchases at New York City Green Carts? Prev Chronic Dis 2017;14:170104. 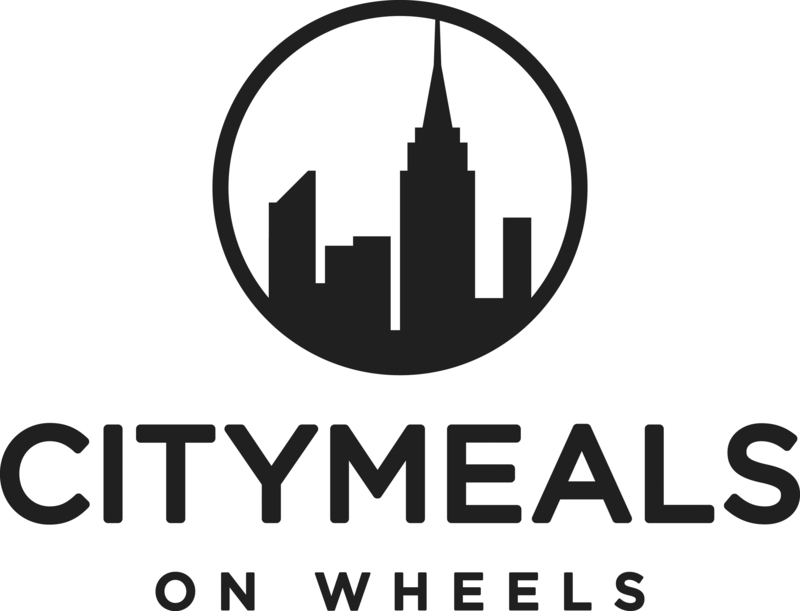 The NYC Green Cart initiative inspired the Illumination Fund to delve more deeply into food access work in New York City by creating the Healthy Food & Community Change Initiative. In 2013, the Illumination Fund committed $15 million over the course of five years to organizations working to improve access to healthy food, address health and access disparities, provide nutrition education, generate food-sector jobs and train a new workforce, and use food and food policy as tools to strengthen communities. The Green Cart Initiative helped to inform the Illumination Fund’s grantmaking strategies by emphasizing the importance of targeting specific neighborhoods with the greatest diet-related illnesses, and engaging with the City in public-private partnerships. And, while Green Carts focused on access to healthy foods, when the Illumination Fund developed the Healthy Food & Community Change initiative it decided to go beyond access — layering in complementary components to increase impact. 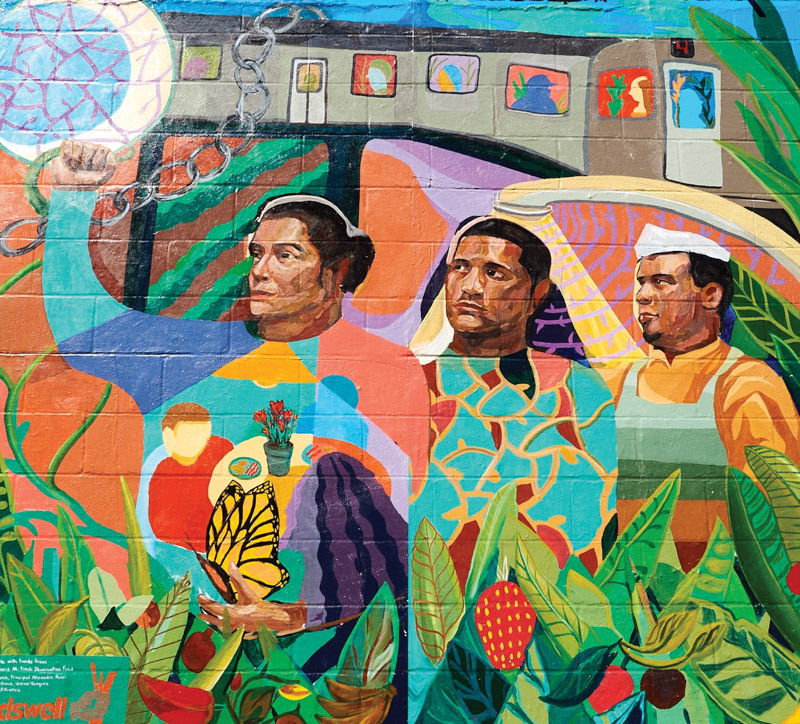 Mural: The Fruits of our Labor (LISC/New Settlement Communities). Improved access to healthy foods in underserved neighborhoods. Greater awareness of healthy choices. Collaborations and partnerships across sectors, including community organizations, health care facilities, local businesses, schools, citywide nonprofits and public agencies. Advancement of knowledge and practice. Change is local, inclusive and holistic. The strongest change agents are individuals and organizations that are invested in communities, embedded in neighborhoods, and have a vision of what makes a healthy, vibrant community with opportunities for all residents. Government has to be at the table. That’s how systems change. Public-private partnerships are critical to collaboration across sectors, including community organizations, businesses, schools, health care facilities and public agencies. Advancing knowledge and practice at academic institutions builds evidence to inform public policies and develops human capital. 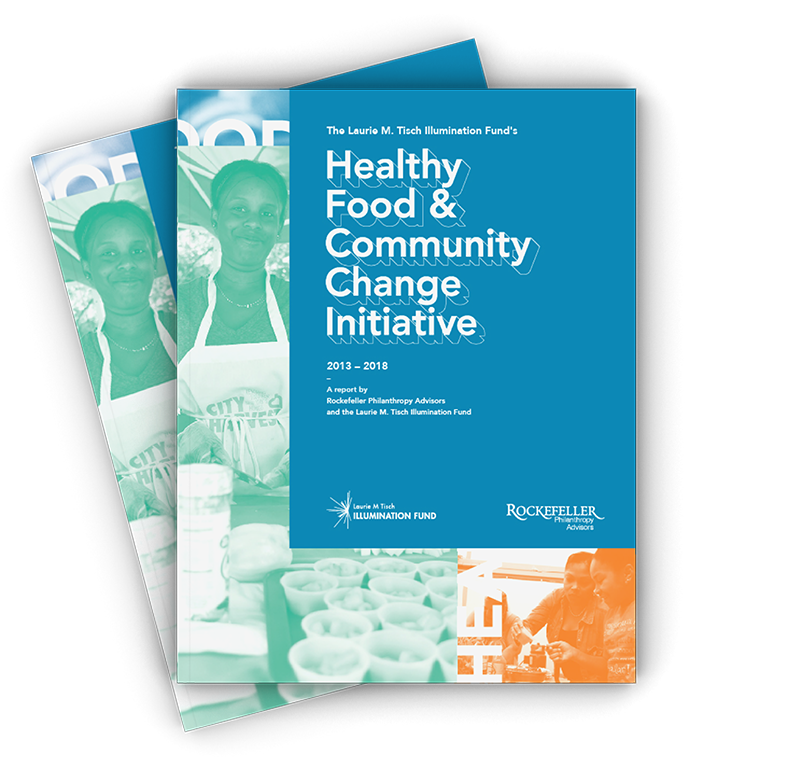 While this report features nine case studies, it is important to highlight that the ecosystem of support and interconnected projects behind the Healthy Food & Community Change initiative is much larger. From urban farms to hospitals, to government agencies, the impetus to improve access to healthy food in our city is shared by many valuable partners. 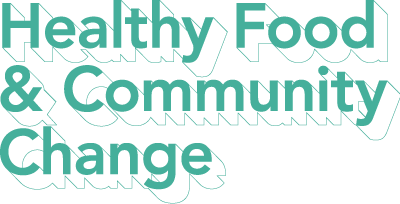 This section lists case studies and partners, classified by areas of work, representing trends in the Healthy Food & Community Change initiative visually. Five of the nine projects work directly to provide Improved Access to healthy food. Another six have Nutrition Education as one of their core activities. Three projects are focused on contributing to each of the three remaining categories. Convening: Foundations can enable the sharing of best practices by convening grantees. The Illumination Fund held an inaugural forum to launch the initiative in 2013 and continued to convene grantees to discuss their work, share successes and challenges and learn new skills from each other. 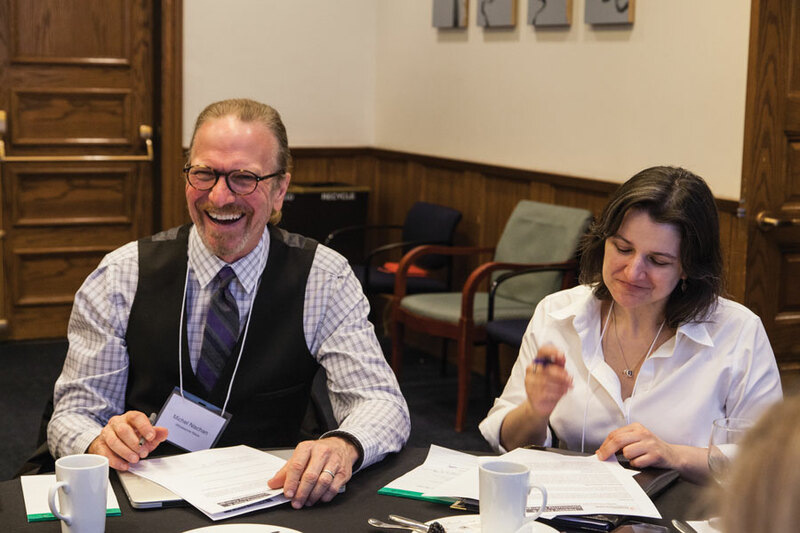 Connecting: The Illumination Fund facilitated network-building by connecting grantees with each other for research, counsel and collaboration. In interviews, grantees spoke about the power in shared learning, shared work, shared community, and carefully built networks. Communications: The Illumination Fund invested in communications by obtaining press coverage for specific programs, aiding the grantees in media outreach, and amplifying programs and events through digital and social media channels. The Fund also used the convenings to build the communications skills of the grantees’ program staff and others who regularly interact with – and must build a compelling case with – external audiences such as policymakers, media, funders and community members. 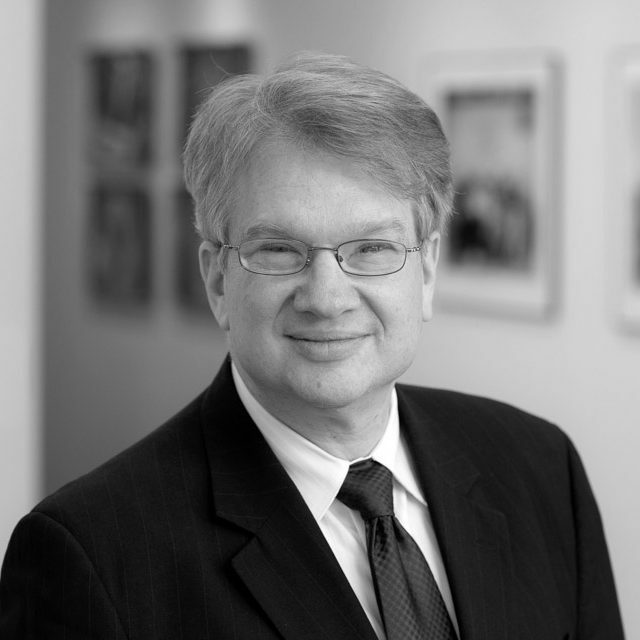 Field Presence: The Illumination Fund’s executive director, Rick Luftglass, co-chaired Community Food Funders, a network of foundations in New York City, Staff participated in philanthropic and food policy networks to monitor trends, identify opportunities to build collective impact and serve as a resource to other funders and organizations. Policy engagement: The Illumination Fund is regularly in contact with policymakers, particularly at the City level. It made introductions to grantees and shared information helpful for cross-sector work. The nature of the public-private partnerships in Healthy Food & Community Change also facilitated collaboration and helped to bring innovative ideas to scale. The Laurie M. Tisch Illumination Fund launched Healthy Food & Community Change with a convening called “Bringing Policy to the Table: New Food Strategies for a Healthier Society.” Grantees were brought together with approximately 600 food system leaders, advocates, policymakers, researchers, funders, evaluators, practitioners, luminaries and students. This launch event set the stage for new relationships and collaborations among grantees and between grantees and others within the Illumination Fund’s network. Over time, convenings became a tool for grantees to build critical skills, such as evaluation and communications. Grantees created informal networks, established valuable learning communities, and formed a common language to solve shared objectives. The convenings also allowed for identification of challenges and opportunities along the way. Grantees have regularly indicated to the Illumination Fund that these points of intersection have spurred useful relationships and collaborations among them, which have added value to grantees’ endeavors above and beyond the funding they received. By coming together through intentional network-building, grantee partners found ways to work creatively to generate solutions; the value of these partnerships has inspired many grantees to work collaboratively on programs outside of their grant objectives. Through Healthy Food & Community Change, the Laurie M. Tisch Illumination Fund (The Fund) supported more than 40 nonprofit organizations directly and dozens more through collaborative initiatives, leading to expansion of healthy food access programs, nutrition education programs, leadership development, and policy initiatives. The Laurie M. Tisch Center for Food, Education & Policy was launched in 2013 in the Program in Nutrition at Teachers College, Columbia University – the oldest university-based nutrition education program in the country. 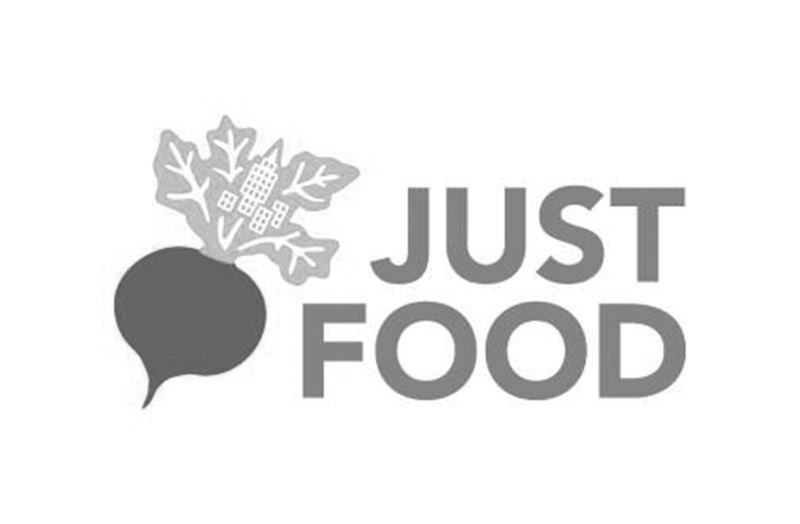 Today, the Tisch Food Center is a recognized hub for the intersection of food policy, nutrition education research and sustainable food systems. The Center has issued landmark reports on nutrition education programs, conducted research to identify best practices to integrate school gardens into school culture and advocated for policies that strengthen nutrition education and healthy food access in schools. The Fund partnered with Local Initiative Support Corporation (LISC NYC) to create LISC’s Communities for Healthy Food, a new strategy to embed healthy food programs into all aspects of the work of five community development corporations that build affordable housing, spur economic development, and provide educational and social services. The Fund provided core support to City Harvest for targeted expansion of the Healthy Neighborhoods Initiative, the organization’s first neighborhood-targeted food security plan. City Harvest doubled the reach of programs such as Mobile Markets, healthy retail partnerships and cooking demonstrations and classes focused on neighborhoods with the greatest disparities and highest rates of food insecurity. The Fund was the first funder of United Neighborhood Houses’ Building Healthy NYCHA Communities through Food, in which settlement houses based in public housing developments partnered with tenants to identify, prioritize and implement programs driven by resident leaders. The Fund provided the seed support and mobilized additional funders for Farms at NYCHA, a component of the Mayor’s Building Healthy Communities initiative. Beyond building urban farms, Farms at NYCHA is a workforce training and leadership development program for public housing residents. Five new farms were built in public housing developments. 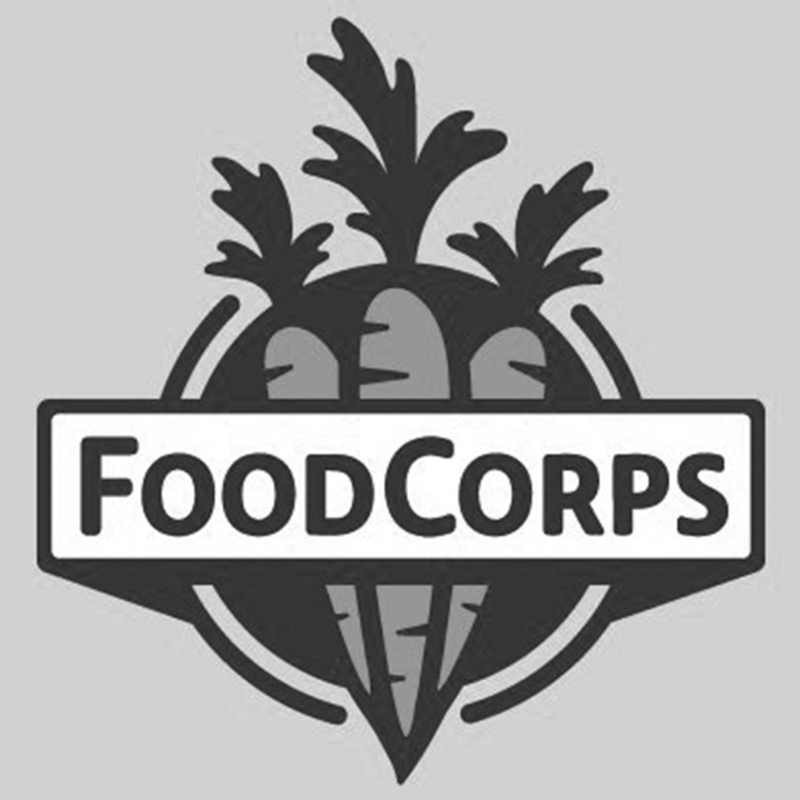 In the latest Urban Farm Corps cohort, 96% of graduates were in jobs or college within a month. The Fund was the first outside funder for Hostos Community College’s Food Studies Program, the country’s first community college-based Associate Degree in Food Studies. Hostos created an innovative program that focuses on career opportunities while building an understanding of policy and societal factors that affect low-income communities and communities of color. 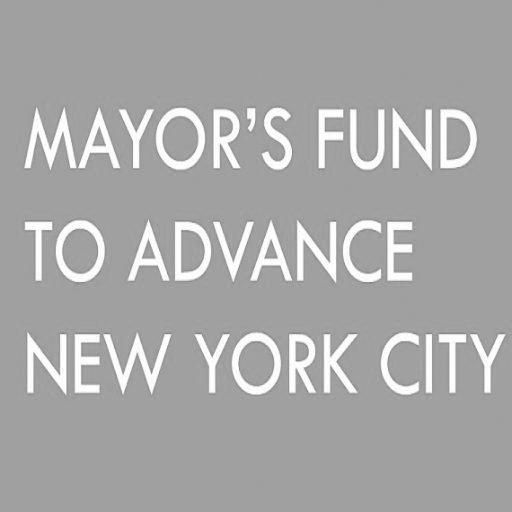 The Illumination Fund also joined the New York City Council as the first funders of the New York City Food Policy Center at Hunter College – the largest college in the City University of New York (CUNY), which in turn is the largest urban public university in the country. Hunter’s Food Policy Center then spurred the establishment of a CUNY-wide Urban Food Policy Institute. The Fund was the start-up funder for Wholesome Wave’s first hospital-based Fruit and Vegetable Prescription Program, as well as Mt. Sinai Hospital’s food insecurity screening, emergency food and farm share program. The Illumination Fund also enabled Memorial Sloan Kettering to add Food Navigators in its FOOD program, the country’s first hospital-based food pantry tailored for low-income patients undergoing cancer treatment. Grantees targeted neighborhoods and sites throughout the five boroughs based on community needs and partners. New Players are now in the healthy food space, including neighborhood organizations, settlement houses, community development corporations, and housing providers that previously had not been involved in the healthy food movement. These organizations, which have deep roots in communities, demonstrated that they can leverage their capacity and stability to be agents of change in increasing access to affordable healthy food. Residents of some of New York City’s most economically challenged neighborhoods have become more engaged, and concentrated placebased initiatives have shown significant progress in changing the shopping, cooking and eating choices of participants. There is growing interest in healthy eating by residents of New York’s low-income neighborhoods. Through this initiative, there are now many successful models of farmers markets, community cooking classes, and urban farming projects, many of which are led and operated by volunteers from target neighborhoods. Community development organizations and health care providers are taking a more holistic approach to health and wellness at the individual and community level. Physicians and nurses are screening for food insecurity as part of their diagnoses and treatment plans, affordable housing providers are envisioning healthy food as a key ingredient for a vibrant neighborhood, and community members are generating income to support their families. Food has emerged as a powerful tool to promote healthier families and communities, boosting ongoing efforts in economic development and health care delivery. There are new partnerships and greater alignment among disparate fields that share common goals in healthy food. Lasting relationships have been nurtured among over 100 organizations, including anti-hunger organizations, academic institutions, city government agencies, neighborhood organizations and health care providers, which reduces fragmentation and creates more opportunities for collaboration. Initiatives piloted in over 20 individual New York neighborhoods have the potential to be scaled across the city and nationwide based on robust evaluation methods and the development of toolkits for replication. Many of the Illumination Fund’s Healthy Food & Community Change programs were geographically targeted — focusing on specific communities of the greatest need, identified as those with disproportionately high rates of food insecurity, poverty, unemployment, diet-related diseases and low availability of healthy foods. Because these issues are interrelated, several programs were driven by multi-service organizations and partners or were intensely collaborative, and food initiatives became part of broader community strategies. Programs of this nature are often referred to as “placebased initiatives” because they are designed to focus on particular neighborhoods, to “go deep,” and to integrate strategies rather than look at problems in isolation. An essential element of place-based initiatives is that community members and residents are leaders and help to set the agenda. 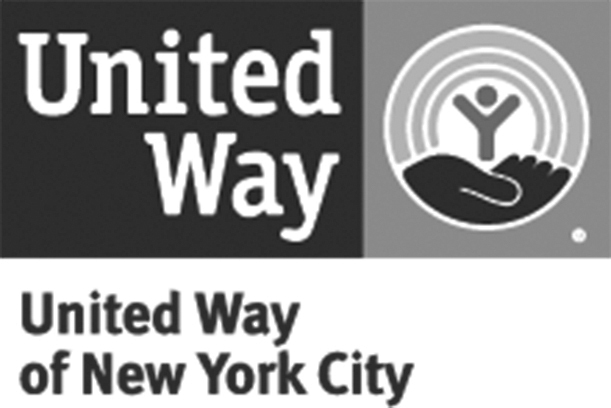 The Illumination Fund supported three initiatives that are classified this way: LISC NYC’s Communities for Healthy Food, United Neighborhood Houses’ Building Healthy NYCHA Communities Through Food, and City Harvest’s Healthy Neighborhoods Initiative. The scope of each place-based initiative varied based on the concentration of poverty and food insecurity. For example, in the case of City Harvest’s Healthy Neighborhoods Initiative, the scope of the Bronx component spanned a broad swath of the South Bronx, including multiple neighborhoods. 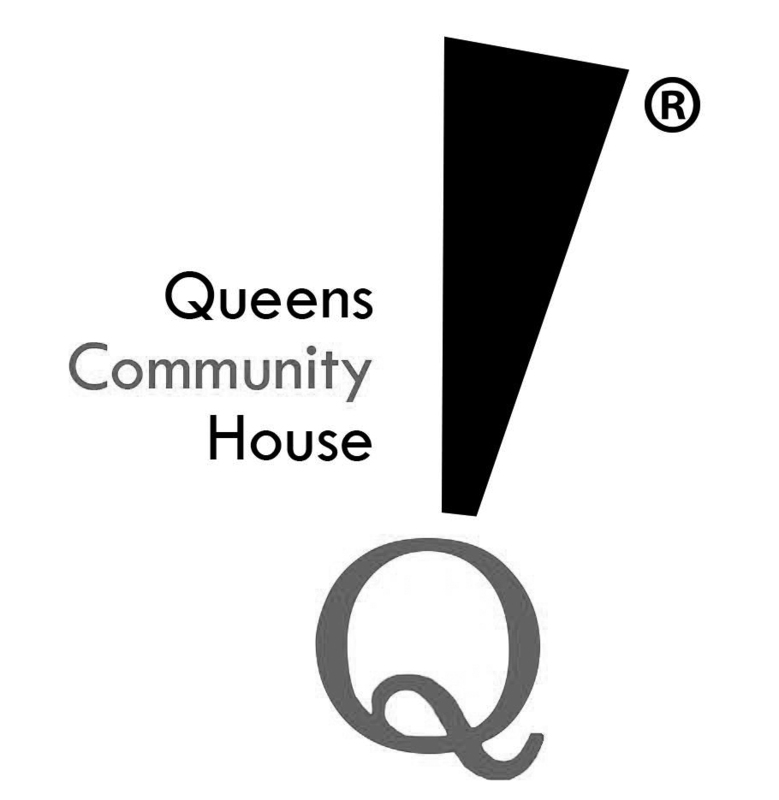 However, its Queens component was focused in and near specific public housing developments in Long Island City and Astoria neighborhoods that otherwise are more economically diverse. Food environments are the points at which individuals access food. This includes grocery stores, corner markets, restaurants, food pantries, farmers markets, schools, community gardens, community-supported agriculture, and meals at community-based organizations. There are opportunities for healthy food initiatives in each setting. Since the goal of many healthy food initiatives is to impact a challenged community, it’s important to recognize the economic conditions of all members of the community, whether they obtain food through food pantries, mobile markets, farmers markets, schools, or regular retail stores. Most low-income individuals obtain food from multiple sources. Food pantry clients generally do not receive all their food from the pantry, but they use it for emergency purposes or to fill gaps when they can’t afford other options. Many recipients of SNAP (the program formerly known as food stamps) also rely on food pantries because the benefit level is insufficient and gets used up before the end of each month. As a result, people who receive SNAP benefits turn toward food pantries to feed their families, so pantries see a surge of need during that time. Regardless of where residents obtain food, there are strategies to increase the proportion of healthy food in those venues. For example, food pantries can add refrigeration in order to provide produce, and corner stores can be incentivized to upgrade their produce section. Making healthier foods available doesn’t automatically increase dietary patterns and health. There are also opportunities to layer in complementary programs such as nutrition education, cooking workshops and demonstrations. That’s why the place-based programs (as well as other grantees supported by the Illumination Fund) provided nutrition education, cooking workshops, youth programs, community events, in-store shopping tours, and other types of engagement. These integrated approaches can have a significant effect on demand. Client-Choice Pantries with fresh and frozen produce: LISC NYC’s community development partners created “choice pantries” so that rather than receiving a standard bag of food, the clients can choose from a range of produce and other healthy options. In some sites, the clients can participate in cooking demonstrations and nutrition education. Mobile Markets: City Harvest operated Mobile Markets that distributed free produce at twice-monthly events near public housing sites with large numbers of senior citizens and families who struggle to make ends meet. School Food: Some grantees provided programs in public schools, which are a key part of the food environment for children, especially those who are from families that qualify for free school meals. SNAP Benefites enrollment: The food pantries in the LISC initiative helped families enroll in SNAP and other programs to subsidize food purchases. Green carts: Many NYC Green Carts are equipped with wireless Electronic Benefit Terminal (EBT) to accept SNAP payments, wich enabled customers to increase their purchases. Healthy Retail: City Harvest’s Healthy Retail program partnered with corner stores and independent supermarkets in targeted neighborhoods to increase the stores’ range of healthy products and to provide technical assistance to store owners and staff to upgrade displays, signage and storage. They also held in-store workshops, demonstrations, promotional events and shopping tours focusing on eating healthy foods on a limited budget. Network-building: The Illumination Fund supported the Healthy Food Retail Action Network, a New York City-based alliance that brings together healthy food retail practitioners, non-profit organizations, advocates, academic institutions, business representatives and policymakers to share best practices and tools. In place-based initiatives, individual organizations have expertise in particular types of programs but not others, so they are heavily reliant on collaborations – both within the community and with citywide specialists. For example, with Communities for Healthy Food, LISC knew its expertise lay in areas such as affordable housing, community organizing and economic development, but they had never worked on food and nutrition. So, before developing its Communities for Healthy Food initiative, LISC conducted a landscape review and interviewed organizations, academics and policymakers throughout the City to identify evidence-based practices that could be adapted and organizations that could help design or implement programs. They invited those organizations to participate by delivering programs in partnership with the community development organizations. Inversely, City Harvest’s expertise was in emergency food, not place-based programs. Historically, its core work was rescuing surplus food and supplying it to food pantries and soup kitchens across the City, and its primary relationships were with the individual organizations running those pantries and kitchens. So, when City Harvest created the Healthy Neighborhood Initiative, it reached out to engage neighborhood-based groups and stakeholders as collaborators and advocates. Healthy Food & Community Change grantees worked diligently to mobilize community leaders – and activate new ones – to foster healthy food environments in underserved neighborhoods. For example, the East Harlem Youth Food Educators (YOFE) Program was created by staff at the CUNY Urban Food Policy Institute to engage young people as leaders in East Harlem. 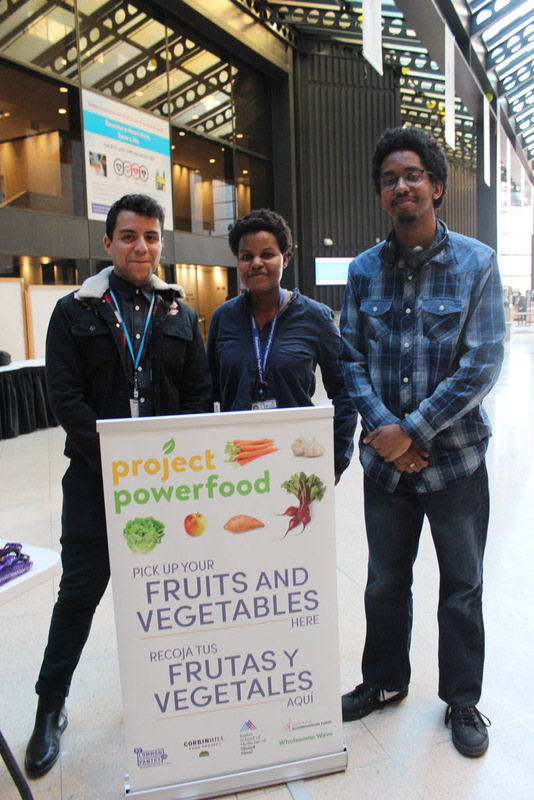 The YOFE members, ages 13-18, learn to analyze and counter advertising on unhealthy foods and conduct "countermarketing" campaigns to their peers, families and neighbors in the community. The Healthy Food & Community Change Initiative sought to shift the narrative away from blaming people living below the poverty line for health problems and food insecurity to instead examine the larger inequities in food environments. The conversation is now much broader and includes analysis of harmful food systems in underserved communities, the lack of healthy food supply chains, the historic disempowerment of low-income people and the dearth of living-wage jobs. Place-based organizations participating in the Illumination Fund’s initiatives sought to integrate healthy food strategies throughout the organization. For example, several of the organizations ran Head Start programs, education programs, job training programs, senior centers, after-school programs and other services, and they engaged their staff to incorporate healthy food into those programs. 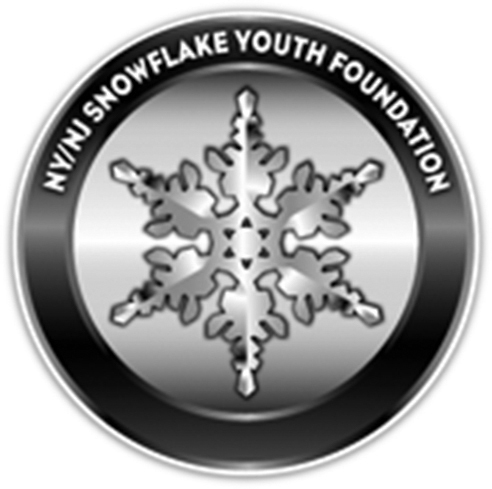 All three of the organizations funded for their placebased initiatives had a primary partner or a staff person based in each community. The grantees periodically brought the staff from those programs together for joint sessions to learn new skills, share findings, solve problems and create a “learning community.” The Illumination Fund also brought the organizations together for several convenings. Grantees in the Healthy Food & Community Change initiative emphasized that healthy food is about more than nutrition. It serves as a valuable tool in bringing together family members across generations, mobilizing residents and inspiring action to strengthen a community and reinforce its vitality. Many neighborhood-based organizations, such as community development corporations and settlement houses, have expertise in community building even if they have not historically offered food programs; in fact, these organizations can be powerful partners in mobilizing their communities to create positive food environments. Although community-based alternative food retail or “community-constructed food systems” such as farmers markets and urban agriculture are a small portion of the food landscape, they can be a productive strategy for private funders seeking to create change. Empowering populations most impacted by harmful food systems to lead the charge is an effective strategy, because no one has a better understanding of their own communities’ strengths and needs. These community food options offer residents greater opportunity for self-determination and engagement. Access to healthy food is a key ingredient for a healthy neighborhood, but other factors include socioeconomic status, neighborhood conditions, education, employment, and social supports, as well as access to health care. In 2013, the Illumination Fund joined with Local Initiatives Support Corporation NYC (LISC NYC), a leader in comprehensive community development, to integrate healthy food strategies in all activities of five LISC-affiliated community development corporations. 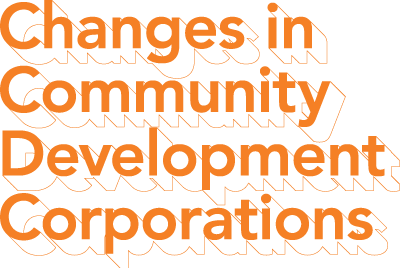 Community development corporations, or CDCs, are a type of community-based nonprofit organization designed to combat poverty and foster revitalization in inner city neighborhoods and in rural communities. Local Initiatives Support Corporation (LISC) is an intermediary organization created by the Ford Foundation to weave together, finance and catalyze these community revitalization organizations. LISC currently has 31 local offices around the country – in urban and rural communities – working with local groups to identify priorities and challenges to deliver the best support on the ground. Historically, the core emphasis of CDCs was to develop brick and mortar resources – principally affordable housing – and create economic opportunity. In more recent years, LISC and its partner CDCs have expanded their focus to address educational, health and social impediments to community success. That broader strategy sparked involvement in food businesses and initiatives. For example, community development organizations around the country were among the country’s first nonprofit organizations to finance supermarkets in low-income neighborhoods, recognizing that investing in neighborhood food environments is a valuable strategy to simultaneously increase access to healthy food, strengthen the local economy, and build a “sense of place” in communities that have suffered decades of disinvestment and physical deterioration. The first stage in the development of Communities for Healthy Food was to conduct community needs assessments. LISC NYC worked with the community development corporations to conduct extensive analysis of community needs and community assets; the “assets” part of the picture was essential, since each neighborhood had different strengths and gaps, and it was important for LISC and the CDCs to identify which other community organizations had common interests and were potential partners, which activities would be redundant with what already existed, and what external resources and expertise were needed. The CDCs also took an inventory of their own assets. For example, some of the CDCs owned property for residential, commercial and community uses, as well as open space. They decided to use these real estate assets to embed and connect multiple food programs, making them more accessible to residents and concentrating their purpose. For example, one of NEBHDCo's assets was a vacant building adjacent to one of its affordable housing buildings. This provided an opportunity to redevelop the building into a custom-built food pantry and community food hub. Implementing a comprehensive neighborhood outreach and awareness campaign. Communities for Healthy Food is based on an understanding that healthy eating is a function of a complex combination of individual consumer choices, household economic status, and surrounding environments and systems, driving the need for change on all levels— from the individual to the larger community. There is no single cause, and no single solution. Over four years, Communities for Healthy Food reached tens of thousands of community residents, most of whom are low-income and Black or Latinx—the populations at highest risk of diet-related diseases. 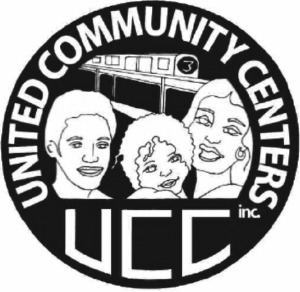 Inspired by the successes of the LISC cohort, Banana Kelly Community Improvement Association (Banana Kelly) in Hunts Point in the Bronx joined the initiative in 2016 as LISC’s fifth partner. Banana Kelly had been an innovator in food initiatives for several years, but joining Communities for Healthy Food enabled Banana Kelly to expand existing programs, identify new models and integrate programs across the organization’s sites throughout the neighborhood. 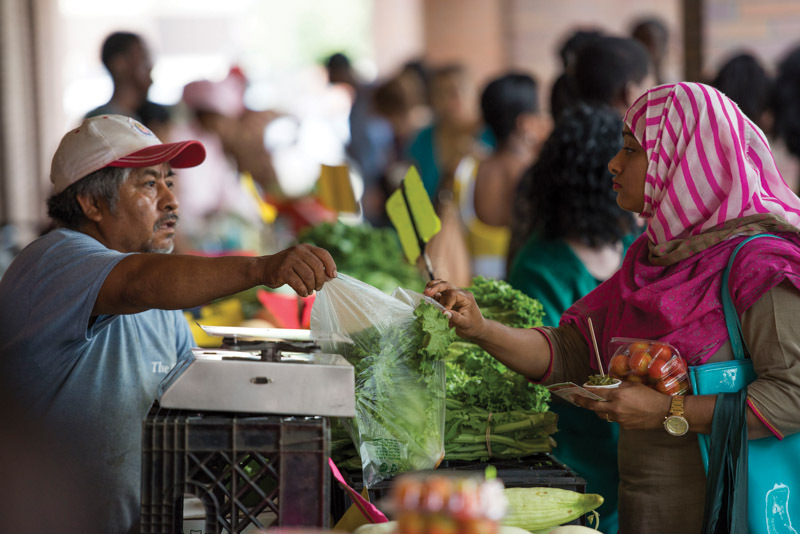 Cypress Hills Local Development Corporation’s Pitkin Verde Farmers Market is located in front of the East New York Diagnostic and Treatment Center, a New York City Health + Hospitals facility, making it easy for community residents to access. They offer cooking demonstrations to increase knowledge and access to healthy new recipes and cooking methods. In 2017, CHLDC’s Youthmarket was the second highest grossing youth market in the city, selling 24,439 pounds of produce, resulting in sales of $38,515. New Settlement Apartments launched a new farm stand employing Youth Leaders. NSA (NSA) has a weekly, affordable farm share program through Corbin Hill Food Project and provides cooking demonstrations at the New Settlement Community Center access to healthy new recipes and cooking methods. 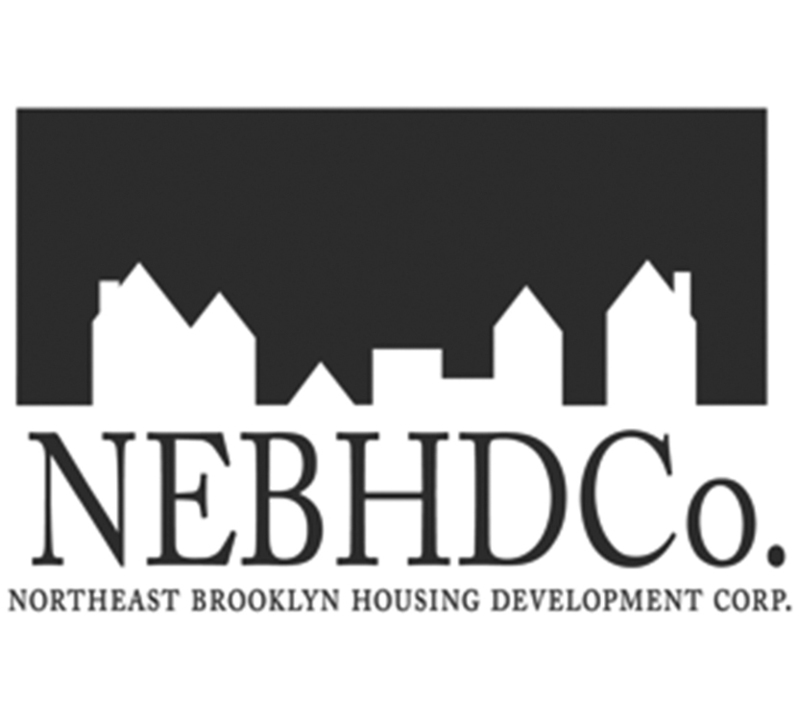 Northeast Brooklyn Housing Development Corporation partners with City Harvest and a NEBHDCo-owned local bodega, Green Apple Organic Grocery, to increase the variety of fruits and vegetables offered, along with cooking demonstrations. NSA partnered with a City Harvest Healthy Neighborhood retail partner to do a "makeover" of the produce department in a local store. NEBHDCo built the Golden Harvest Choice Food Pantry, a two-story community food hub that includes the pantry, a backyard food garden, a demonstration kitchen, event and meeting space, and benefits enrollment offices. Banana Kelly partnered with New York Common Pantry to open a client-choice food pantry in an affordable housing building that it owns in the South Bronx. The pantry has 3,155 registered individuals, providing them with not only healthy food, but resources on SNAP, health insurance, and other benefits. 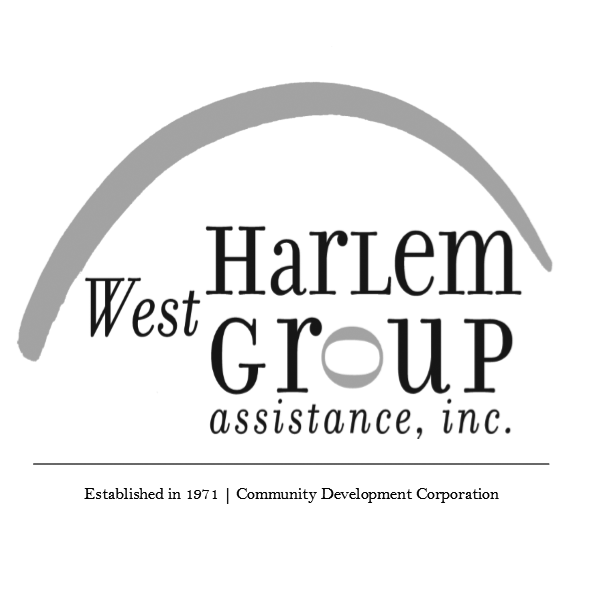 West Harlem Group Assistance created a clientchoice Community Healthy Food Hub pantry to provide wraparound services including cooking demonstrations, nutrition education, and public assistance pre-screening through the year. From 2016 to 2017, WHGA doubled the number of clients served. NEBHDCo delivers culinary workshops to increase healthy food skills and gardening workshops to increase knowledge of food growing techniques in the backyard of their senior affordable housing building. CHLDC offers food employment and food handling training to youth, placing them in local restaurants or referring them to CUNY’s advanced culinary training. All participants receive a thorough assessment and career plan as well as case management, placement assistance, and access to mentoring from a professional in their field. NEBHDCo trains and employs Community Chefs who lead cooking demonstrations, cater events and hold culinary classes. NEBHDCo created a year-round, paid, tiered youth leadership program for teens interested in food justice. 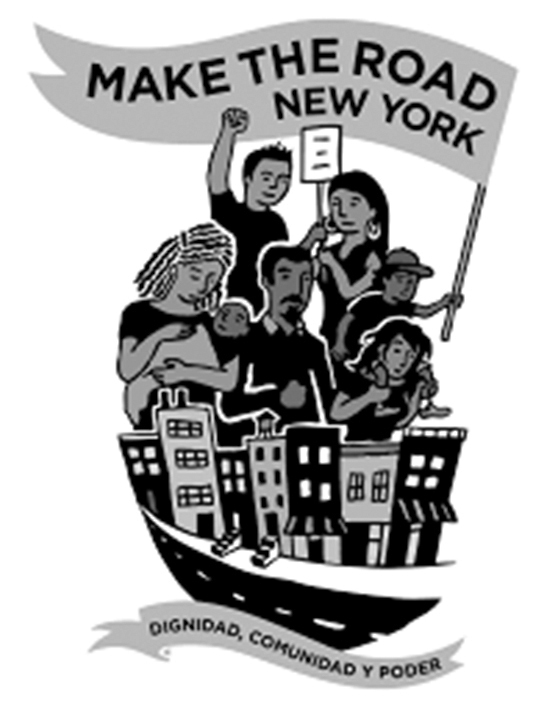 In 2017, NSA began a new leadership group called Stirring Up Community Change, holding meetings for community members on wellness and the history of divestment in the Bronx that led to reduced healthy food access. Banana Kelly engages high school students in a Food Justice Leadership Group. Students plant, tend and harvest the community gardens and operate a free farmers market for residents. Through neighborhood tours, students learn more about their local food environment, analyzing food inequities and considering ways to create a healthier landscape. of food distributed through food pantries, gardens, and farmers markets. pre-screened, referred or enrolled in SNAP. 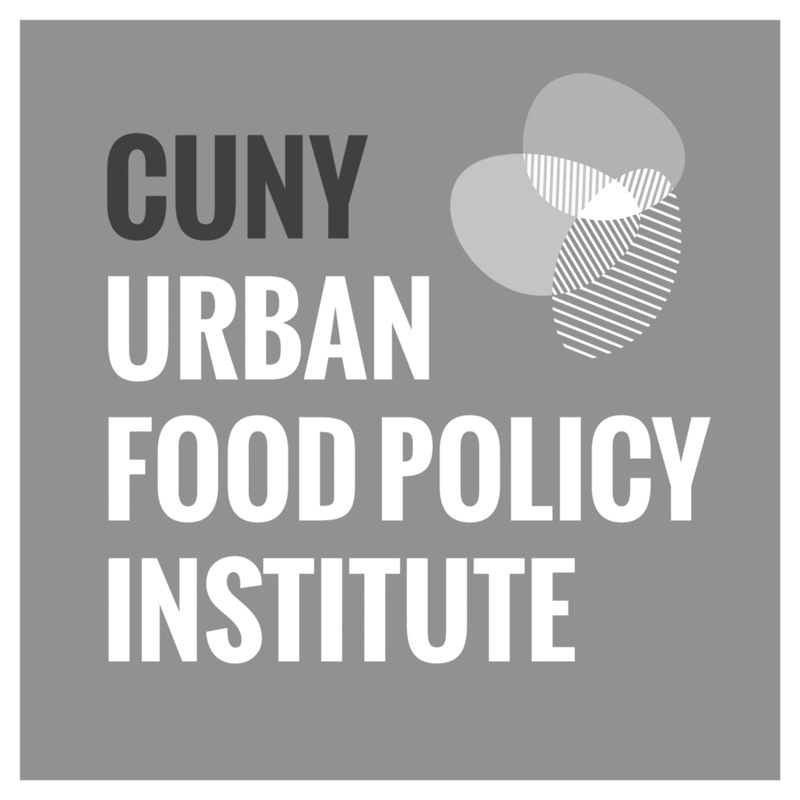 The City University of New York (CUNY) Urban Food Policy Institute worked with LISC NYC and the five CDCs to conduct a rigorous evaluation to assess changes in individuals, organizations, and neighborhoods. Together, they developed a “theory of change” as a framework for designing programs and evaluating impact. The model identified what actions could be undertaken that would create short-term improvements that would lead to long-term change, ultimately contributing to community health and development. 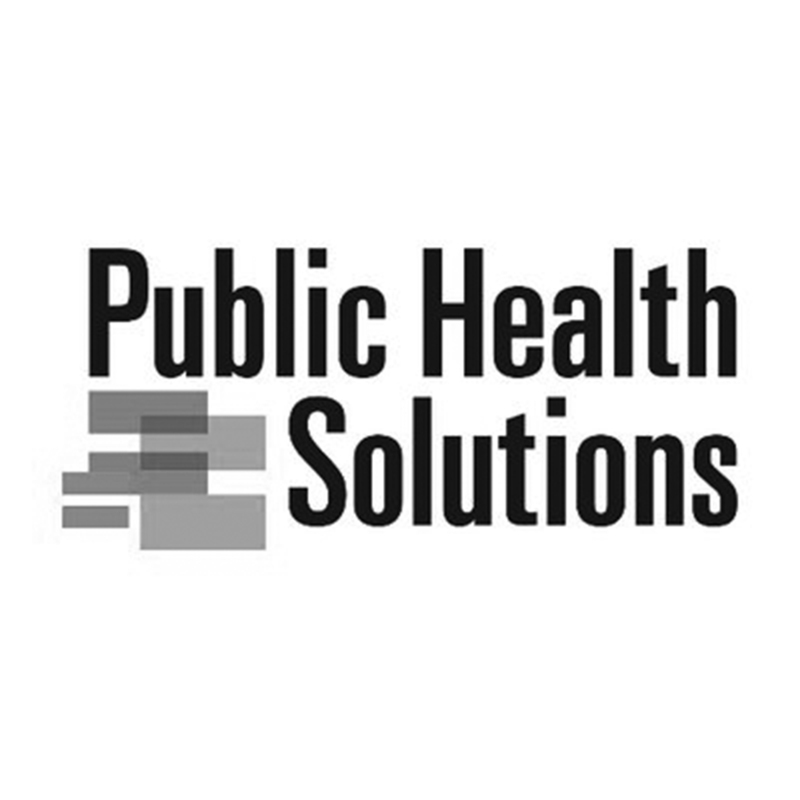 The evaluators collected data through household surveys, observations of program and activities, focus groups with residents and CDC staff, and assessments of the food environments in target neighborhoods. Between the program’s start (in 2014) and 2017, the proportion of residents who “always or most of the time” used knowledge on food pricing, meal planning, and nutrition labels rose by on average 9%, an increase of about 15%. The portion of residents who frequently chose convenience food stayed about the same at 25% of the respondents. Overall, the percentage of respondents who always or frequently used food knowledge in desirable ways on these combined four items doubled, from 24% in 2014 to 49% in 2017. This finding suggests that more people in the participating communities used food knowledge appropriately to make food choices in 2017 than in 2014. The frequency of healthy food behaviors increased in four of the five categories assessed. The average rise in the proportion of respondents reporting that they practiced these behaviors always or most of the time for these four behaviors was about 9%, which represents a mean increase of 14% increase from the 2014 levels. One behavior remained stable over the interval: the number of times the respondent reporting eating leafy green vegetables in the last three days, which did not change between 2014 and 2017. This finding is leading toward more concerted strategies to move that needle. 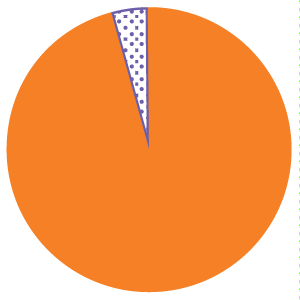 Less consumption of soda and fast food in the past month. CDCs have become a forum for discussion of affordability. 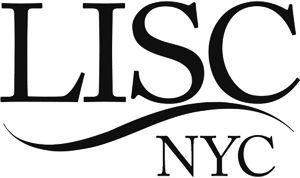 LISC NYC’s initiative was designed to wrap up in 2017. However, LISC assisted each of the five community development corporations to create an infrastructure and attract funding to sustain their programs. 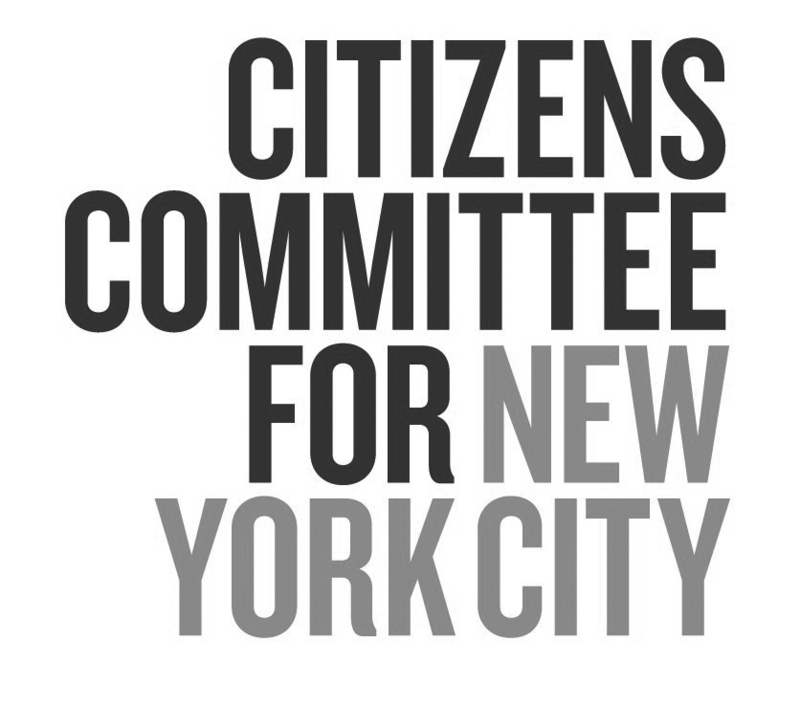 For example, in order to obtain funding from the City, LISC trained CDC staff in advocacy skills, and the staff and residents testified at New York City Council budget hearings. 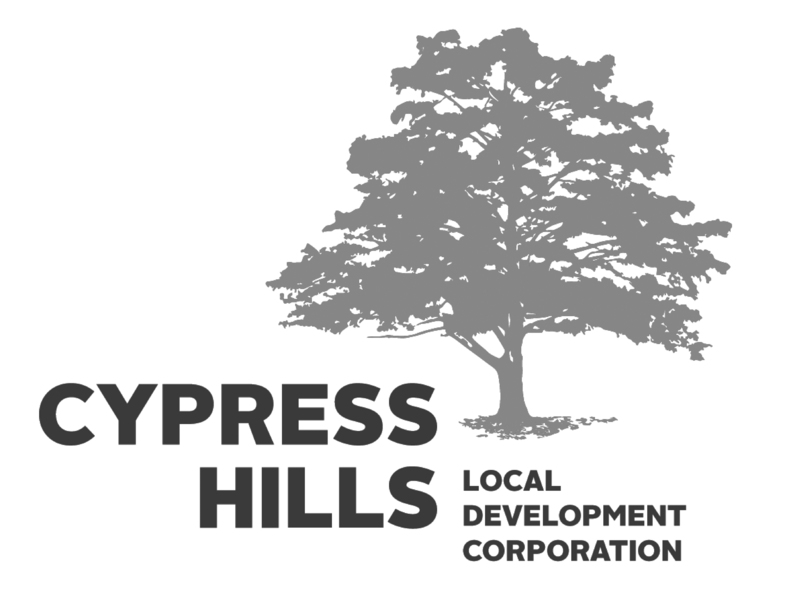 As a result, the City Council decided to support ongoing programs at each of the partner CDCs. To date, the City Council has provided $2 million in support directly to the CDCs, and all five of the CDCs are continuing their programs. The success of this initiative across neighborhoods shows that it can be replicated, making support for expansion appealing to policymakers. LISC created the Communities for Healthy Food Toolkit: A Practical Guide for Integrating Healthy Food Access and Social Justice into Community Development for other community-based organizations and CDCs nationwide that want to create healthy food interventions in their own neighborhoods. LISC NYC reports that Communities for Healthy Food has been transformational for its own mission. Through the initiative, LISC NYC has recognized its new role in advancing community health and helping residents lead healthier lives, and it forged a partnership with the NYC Department of Health to address the connections between social determinants of health, housing and community development. Beyond New York City, LISC’s national office launched a major new focus on the social determinants of health – to “upend health disparities through tailored investments in communities, and designing a plan to assess the health outcomes of our broad work in economic development, housing, safety and financial stability.” Using learnings from Communities for Healthy Food, LISC NYC has been a key part of the development of LISC’s national strategy. United Neighborhood Houses (UNH) is a membership organization composed of multi-service, multi-generational organizations historically known as settlement houses. Many of UNH’s member organizations are located within or near public housing developments, so in 2014 UNH created a four-year initiative with the Illumination Fund to engage public housing residents to take the lead in improving their local food environments. UNH’s membership makes up one of the largest human service systems in New York City, with 39 independent nonprofit organizations working at more than 650 sites to provide high quality services and activities to 750,000 New Yorkers each year. As neighborhood anchor institutions, settlement houses are effective partners in addressing local food environments and helping people access healthy food. UNH supports its members through policy development, advocacy, capacity-building activities and joint initiatives. 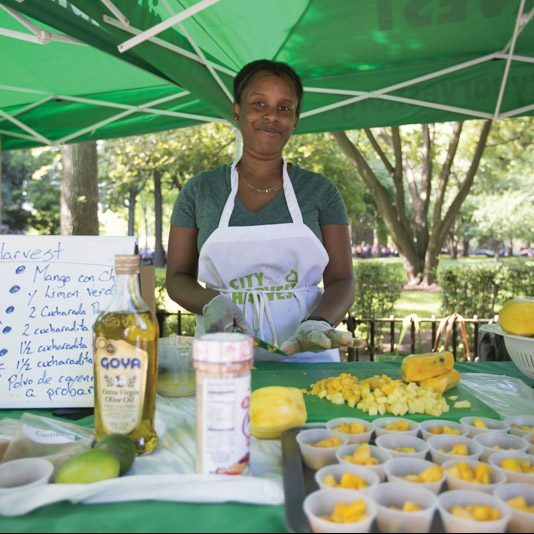 With the Illumination Fund’s support, UNH created Building Healthy NYCHA Communities Through Food to help member organizations develop programs to increase resident leadership and engagement in initiatives focused on fresh healthy food. With a one-year planning grant, the settlement houses invited residents to participate in a planning process to identify their own priorities and needs, with the goal of changing their and their neighbors’ behaviors in buying, preparing, and eating healthy food. Food proved to be an effective means of bringing people together and inspiring community leadership. NYCHA residents were involved from the beginning in developing programs, which created buy-in and resident ownership of new initiatives. 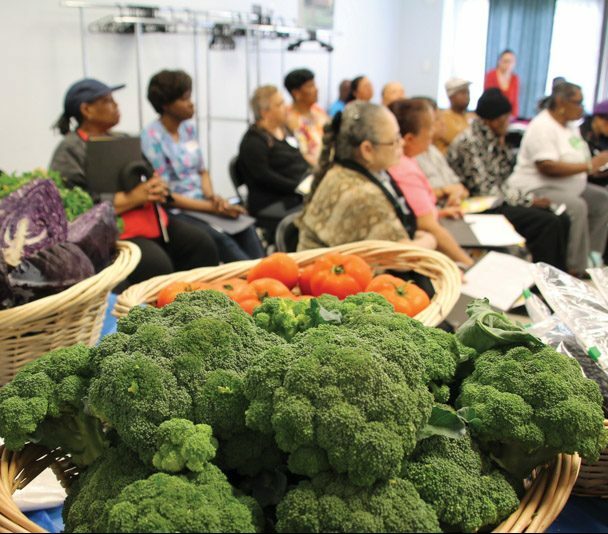 Some of the most successful initiatives created by the partner organizations include resident-operated farmers markets, food pantries that stock fresh produce, community cooking classes named “Cooking and Eating Together,” youth engagement and intergenerational programs, and healthy meals at senior centers. Launching these programs allowed settlement houses to engage with their residents in new and meaningful ways. In partnership with CUNY School of Public Health’s Urban Food Policy Institute, UNH evaluated the impact of each member organization’s programs. The evaluation focused on qualitative outcomes regarding resident engagement, partnership development and participation. Key learnings from this initiative reinforce the importance of resident leaders who partner with local community-based organizations to create lasting change. Through this initiative, healthy food is now a priority issue in each partner settlement house. Using the learnings from the evaluation, UNH is creating toolkits so that successful initiatives can be adapted by other UNH members citywide. UNH is examining how to embed new health and wellness programs into the ongoing work of settlement houses and how to empower residents to take ownership of their own food environments. Terry Kaelber, UNH’s Director of Community Engagement Projects, says they are “committed to bringing these practices to other settlement houses in NYCHA developments across New York.” In the future, UNH wants to build a learning community for stakeholders who are working to improve healthy food access and use, including other NYCHA developments, funders and policymakers, using findings from this initiative to bring residents together, build and strengthen community and create change. 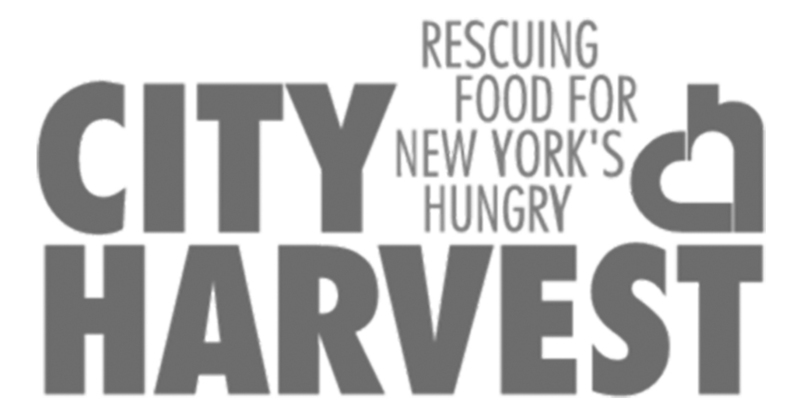 City Harvest pioneered the “food rescue” model in 1982 – delivering surplus food from restaurants and other businesses to food pantries and soup kitchens throughout New York City. 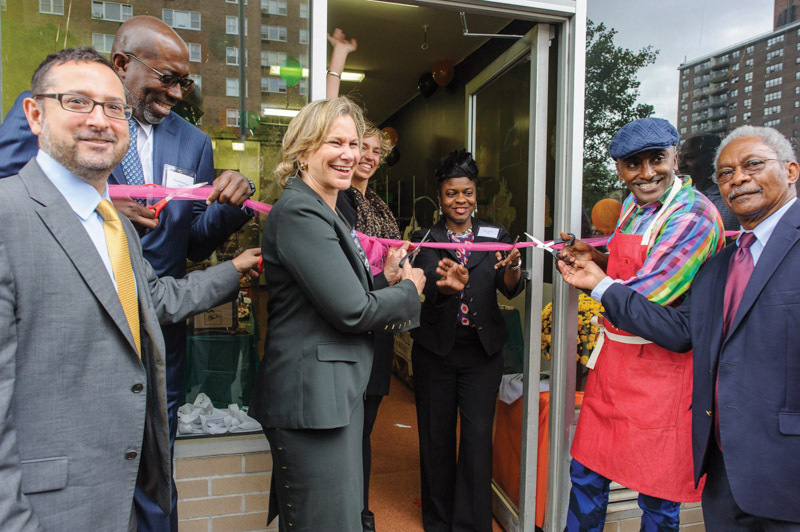 Thirty years later, City Harvest launched an ambitious new strategy, the Healthy Neighborhoods Initiative, to take a geographically targeted, integrated approach to focus on five highneed neighborhoods – one in each borough – and to meet a range of food needs, from emergency food to retail. While continuing to distribute food to some 600 pantries, shelters, senior centers and Head Start programs throughout the City, the concept behind the Healthy Neighborhoods Initiative was to go deep in a limited number of neighborhoods rather than wide. One year into the creation of the Healthy Neighborhoods Initiative, City Harvest engaged the Illumination Fund to increase the scope and scale of the program. Before launching the Healthy Neighborhoods Initiative (HNI), City Harvest conducted “community food assessments” and designed a multicomponent strategy for each of the five targeted neighborhoods: Bedford-Stuyvesant, Brooklyn; Northwest Queens; Washington Heights/Inwood, Manhattan; the South Bronx; and the North Shore of Staten Island. The data show that in these neighborhoods, residents may be twice as likely to face hunger, poverty and diet-related illness as those in more affluent areas. Access to healthy, affordable food is often limited. Therefore, City Harvest designed Healthy Neighborhoods to focus both on immediate food needs as well as long-term solutions for food security in a local community. Convene residents, community partners and business owners as Community Action Networks to discuss ways to address the local food landscape. The results have been impressive – both in scale and in impact. For example, from HNI’s start in 2012, the number of Mobile Market sites, Mobile Market days, and clients receiving fresh produce at the markets has tripled, and third-party evaluations have demonstrated significant changes among participants. City Harvest reports that although these results are very positive, lasting behavioral change is challenging when residents are on a very tight budget due to limited incomes. With the conclusion of the 5-year HNI plan, City Harvest embarked on a new strategic planning process, and in 2018 is rolling out enhancements and modifications designed to increase long-term impact. City Harvest is reimagining its healthy food strategy—a strategy that is now influencing the entire organization’s approach to improving access to healthy food and achieving food security. City Harvest is also a partner in the Food Assistance Collaborative, created by the Leona M. and Harry B. Helmsley Charitable Trust and led by the Mayor’s Office of Food Policy with United Way and City and State agencies to increase coordination throughout the emergency food system, build efficiencies, increase client satisfaction and increase the capacity and food supply of in specific neighborhoods where data show the greatest unmet needs. Residents report Mobile Market participation is critical to their food security. 87% of those surveyed reported that accessing Mobile Market distributions is very important in both obtaining fresh produce and getting enough to eat. 25% of clients reported that the Mobile Market produce they received made up almost all of the fruits and vegetables used in the household, while another 34% reported is made up most of the fruits and vegetables they used in the household. Cooking demons trations empower healthy eating habits beyond the Mobile Market environment. 86% of cooking demonstration participant s said that tasting food at the market encouraged them to prepare produce at home, and more than half reported purchasing more fresh produce when grocer y shopping. Healthy Retail partnerships strengthen local businesses as well as the local food landscape. 88% of corner store owners reported increasing the variety of produce (mainly fresh vegetables) they offered since participating in City Harvest's Healthy Retail program. Data indicate that clients are responding well to these food landscape changes — among corner stores who shared regular sales data, sales of fresh produce rose 6.7% over one year, and 26% over three years. Food insecurity is due in large part to community-level poverty and affordability of food. The problem is one of limited resources, not just lack of access. Low-income families are often willing to travel to purchase healthy food at affordable prices, but still may not have the resources to buy the food they need. Investments in neighborhood food systems encourage entrepreneurship and create local jobs, which helps communities tackle both access and affordability. These investments can have a multiplier effect on jobs and opportunity. By providing additional avenues for food access, funding that supports workforce development efforts can build the infrastructure required to grow, prepare, distribute and sell healthy food. Grants in this area increase opportunity for local residents to join the healthy food economy, gain new skills, start new businesses, find meaningful work and be part of solutions to food insecurity. Organizations supported by the Illumination Fund had diverse goals and strategies to link food and economic opportunity, including entrepreneurship, development of supplementary income, workforce training and higher education. The New York City Green Cart Initiative, the precursor to Healthy Food & Community Change, created hundreds of new jobs for small-scale entrepreneurs while increasing access to healthy food in targeted neighborhoods. The vast majority of the Green Cart vendors are immigrants who use street vending as a way to gain a foothold in the economy. Many continue as vendors, while others gain sales, customer interaction and procurement skills that help them obtain other jobs or start other businesses. NEBHDCo, one of the LISC NYC partners, created a “Community Chef” training program in partnership with the nonprofit organization, Just Food. Community Chefs are local residents who are trained to lead cooking demonstrations, cater events and conduct culinary classes; some have launched their own catering businesses. In 2017, NEBHDCo worked with twenty Community Chefs who had a total of more than 140 work opportunities directly or through referrals. 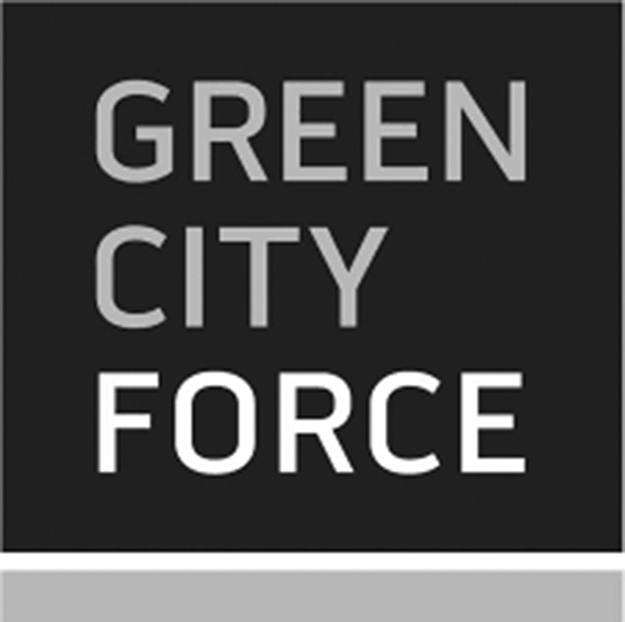 Green City Force, a core organization in the Farms at NYCHA initiative, provides workforce training and leadership development for residents of public housing, ages 18 to 24, through an AmeriCorps public service model. The training focuses on environmentally-linked skills for jobs in the “Green Economy.” Green City Force’s Urban Farm Corps members gain skills and receive additional training to launch their careers and become community leaders. Since the program began, 118 NYCHA residents have been Urban Farm Corps members; of the most recent cohort of Corps graduates, 96% were in jobs or college within one month. The Illumination Fund was also the first foundation supporter of the Brownsville Community Culinary Center (BCCC), a program of the Melting Pot Foundation. BCCC prepares Brownsville and Central Brooklyn residents for careers in the culinary industry through a 10-month stipend-paid training program and then helps graduates obtain internships and jobs. The participants are exposed to a diversity of career opportunities through visits to businesses, guest speakers, field trips and placements. A café is also onsite – the neighborhood’s first sit-down restaurant in 50 years. Hot Bread Kitchen’s Bakers in Training program provides low-income women – many of whom are immigrants – with paid, on-the-job bakery training at the organization’s commercial bakery, along with adult basic education, to prepare them for management track careers in the food production industry. One of Hot Bread Kitchen’s other core initiative is HBK Incubates, which helps women start and grow artisanal and ethnic food businesses. 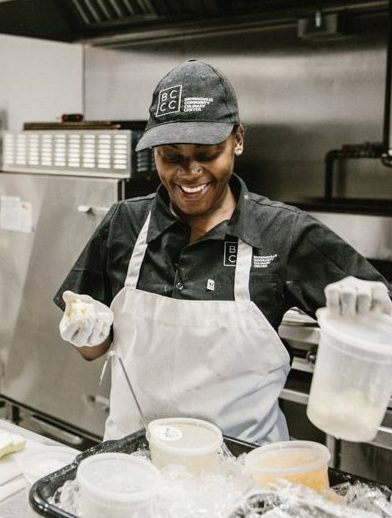 Drive Change uses the food industry as a tool to broaden opportunities for young adults returning home from jail and raise awareness about injustice inside of the criminal justice system. 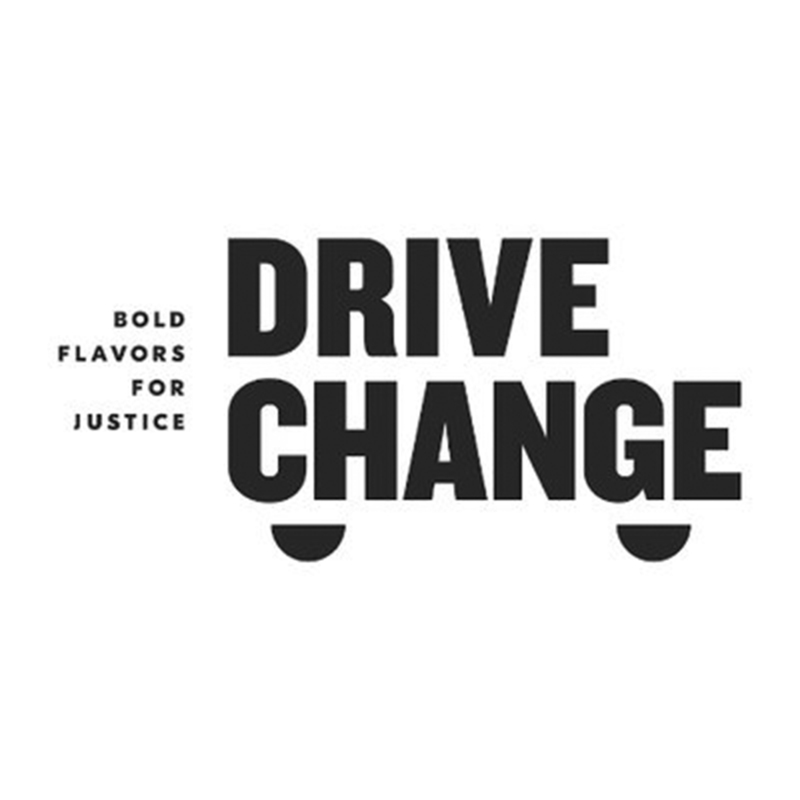 The organization runs a 10-month paid-fellowship for returning citizens and curates justice-driven food events with Drive Change’s food truck. Hostos Community College’s Food Studies Program equips students for jobs in the broad and growing food sector or to continue to 4-year colleges. Through intensive skills training and substantive internships, Hostos is preparing students to become dietetic technicians, nutrition and health educators, technicians, entrepreneurs, food policy advocates, food-related business owners, and drivers of sustainable food and health-related enterprises in their local communities. The New York City Mayor’s Office of Strategic Partnerships created the Building Healthy Communities initiative as a public-private partnership to expand efforts to address health disparities in low-income neighborhoods. Building Healthy Communities is focused on three main goals: increasing access to healthy food, increasing opportunities for physical activity and promoting public safety. Farms at NYCHA is one of Building Healthy Communities’ flagship components. The City identified five NYC Housing Authority (NYCHA) public housing developments that had available space, and established a plan to build urban farms in those locations. The model was based on a pilot farm created in 2013 by Green City Force, an AmeriCorps service organization that prepares young NYCHA residents for careers in the "green economy." 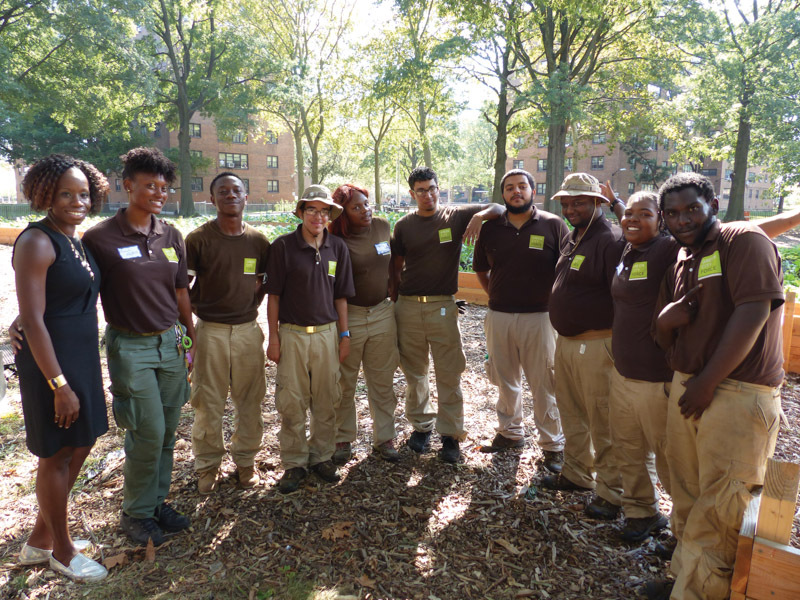 Green City Force hires cohorts of 18- to 24-year-old NYCHA residents in a 10-month Urban Farm Corps program and provides both technical and academic training. The pilot farm – and Green City Force’s first cohort of the Urban Farm Corps – was at Red Hook Houses, Brooklyn’s largest public housing development. But the City needed philanthropic support to undertake the expansion to other sites. In 2015, the Laurie M. Tisch Illumination Fund made a three-year grant to the Fund for Public Health, a City-affiliated nonprofit, to launch and scale Farms at NYCHA. Partners include the city’s housing authority, the Mayor’s Office, the Fund for Public Health, and Green City Force. Farms are now operating at the original site at Red Hook Houses, as well as Howard Houses in Brownsville (Brooklyn), Bay View Houses in Canarsie (Brooklyn), Wagner Houses in East Harlem (Manhattan), Forest Houses in Morrisania (the Bronx), and Mariners Harbor in Staten Island – each in collaboration with community partners. Through Green City Force’s service corps – which include the Urban Farm Corps and the Clean Energy Corps – young public housing residents who face major barriers to employment serve as AmeriCorps members to improve sustainability and health in public housing communities. The corps provides hands-on work-like experience, trainings toward professional certifications, opportunities to practice communication and leadership skills, and a full set of wraparound supportive services that includes career counseling and regular access to certified social workers. Their public service experience is designed to expose Corps Members to and enter careers in the green and clean energy economy in industries such as energy efficiency, sustainable construction, solar, urban farming, composting, and public health. While some Corps Members go straight to internships or jobs, others choose to go to college or pursue other educational opportunities. Organic produce distributed to NYCHA residents. The development of each farm followed several months of engagement with resident councils and local organizations. It was necessary to build trust and identify needs and interests rather than swoop in to build a farm. Today, residents give input on the crops grown at their local farms; if they provide volunteer hours or donate food scraps for composting they receive free fruits and vegetables harvested on site. Partnering with local stakeholders at each site, the Urban Farm Corps works to design programming such as farm season kickoff, weekly farm stands, farm-based learning for local students, cooking demonstrations and harvest festivals. 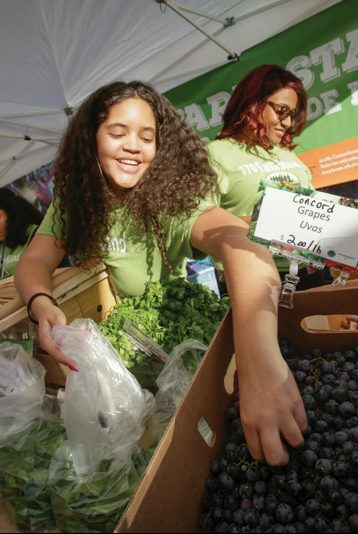 The Urban Farm Corps members have become ambassadors in the community for healthy eating. As residents of NYCHA housing elsewhere in the City, they are recognized as peers, which provides credibility and establishes mutual respect. Farms at NYCHA is being evaluated by the CUNY Urban Food Policy Institute, which is tracking employment, food production, resident engagement, behavioral change and other dimensions. Through this partnership, the city is making a visible and tangible investment in its public housing properties, activating open space, providing valuable work experience and income, and increasing NYCHA residents’ access to healthy food. Farms at NYCHA is also integrated and aligned with other food-based initiatives at NYCHA, including United Neighborhood Houses’ Building Healthy NYCHA Communities through Food and the NYCHA Food Business Pathways Program (a free business training program that helps NYCHA residents become entrepreneurs and start and grow food businesses). Now that all five new farms have been built, Green City Force is working with NYCHA, the Mayor's Fund to Advance NYC and the other Farms at NYCHA partners to prepare the next phase of the initiative. Each farm has been maintained and operated in partnership with other organizations located in the community, including Added Value, East New York Farms, Harlem Grown, Isabahlia Ladies of Elegance Foundation, and La Finca del Sur. As Farms at NYCHA sustains and grows in the future, the structure may evolve but community partners will continue to be an important element in the model. GCF is aligning its service cohorts under one unified service strategy – combining the Urban Farm Corps with the “Love Where You Live” Corps, which promotes new sustainability initiatives in NYCHA developments and is deployed to educate NYCHA residents about sustainability initiatives. As the fields of urban agriculture and green jobs grow, initiatives such as Farms at NYCHA are engaging more communities of color and lower-income residents as leaders and creating a more inclusive healthy food movement. Hostos Community College is not your typical college; it’s the product of grassroots community activism, and that activism underlies the school's culture. 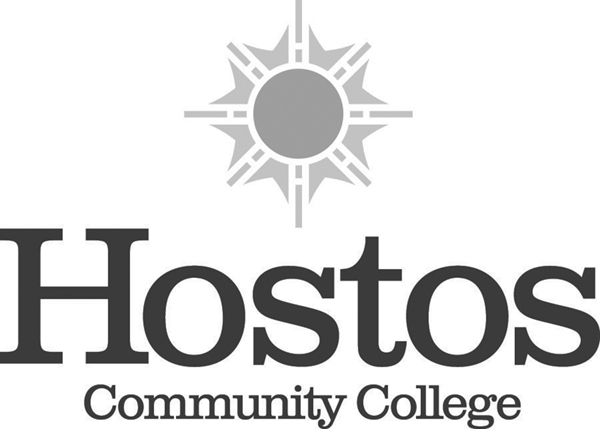 Hostos was created in the 1960s civil rights movement, when Hispanic leaders advocated for the establishment of a college within the South Bronx to meet the educational needs of the community. Ever since, when Hostos creates new programs, they are in response to community needs and are developed in collaboration with faculty, students and community stakeholders. Such was the case with the new Food Studies Program, launched in 2015. Hostos is located in the poorest Congressional District in the country – number 435 out of 435. The food insecurity in this section of the Bronx is about 37%, which is more than double the New York City average. Rates of obesity are also disproportionately high, and rates of diabetes are through the roof – nearly twice the national average. The unemployment rate in the borough of the Bronx is 25% higher than that of the City as a whole. According to the Robert Wood Johnson Foundation’s annual County Health Rankings, the Bronx’s health indicators place it last among the 62 counties in New York State. Of course, the statistics, as dramatic as they are, tell only a part of the story. It's the human toll of these disparities that concerns Hostos students the most. These issues affect family, friends and neighbors. Many of Hostos students’ families are on SNAP (food stamps) and a significant number rely on an on-campus food pantry. 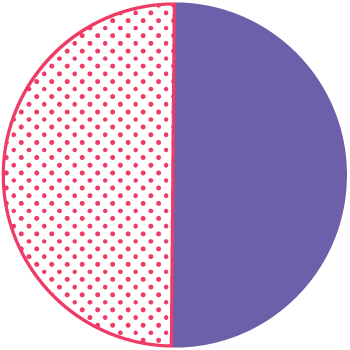 A third of the students are supporting children. Local residents, community organizations and elected officials are working together to change this. In 2015, the Bronx Borough President's Office, Montefiore Health System, the Institute for Family Health and the New York City Department of Health used the County Health Ranking as a battle cry. They launched #Not62: The Campaign for a Healthy Bronx, bringing together stakeholders from across multiple sectors within City government, business, education, health care, and nonprofits to address social and health inequities and improve health outcomes. This campaign encouraged Bronx stakeholders to collaborate on programming and activities ranging from encouraging healthier options in local restaurants and bodegas to connecting residents to health and social services. 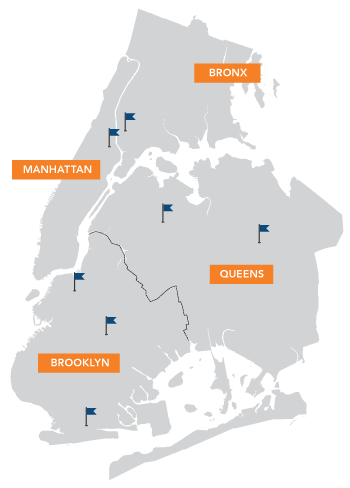 Part of the assessment to establish the viability of the program included interviews with NYC-based food market wholesalers, distributors, manufacturers, and retailers, many of whom are located in the Hunts Point Distribution Zone, home of the largest food distribution hub on the East Coast. "They shared critical insight with us about skills needs of the workforce of the future that matched up with the degree tracks and course strategies we were developing, in areas such as food safety, logistics, and warehouse management,” says Karen Karp, President of Karen Karp & Partners, which conducted the research and prepared the program strategy. The faculty and academic components are funded through core allocations within City University system and college budgets, but before the Food Studies Program could be implemented it needed funds to develop a special curriculum and to establish external partnerships with schools, community organizations, industry partners and prospective employers. 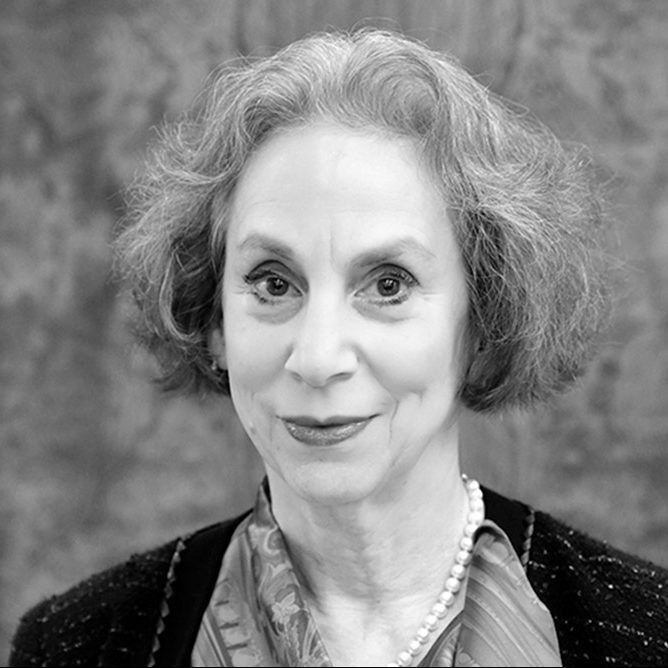 The Laurie M. Tisch Illumination Fund joined as the first foundation supporter. In addition to taking core science and liberal arts classes, students take a foundational course in food studies and then can choose from four tracks: food policy; social issues and food; health and nutrition; and environment and sustainability. Other core courses include expository writing, probability and statistics, and the botany of food. This academic program aligns with workforce opportunities and growth trends in the food economy in the Bronx and beyond, creating opportunities for students to develop in-demand skills. The Hostos Food Studies Program combines theory with practice through its rich offerings for students. Students participate in academic and professional development opportunities, such as field trips to sustainable farms, an emerging business incubator to examine entrepreneurial perspectives, and service learning projects in partnership with local community-supported agriculture (CSA) programs and urban farms and gardens. The students also run a small farmers market while evaluating its community impact and inviting input from residents. These experiences support the community while providing valuable career development experiences. 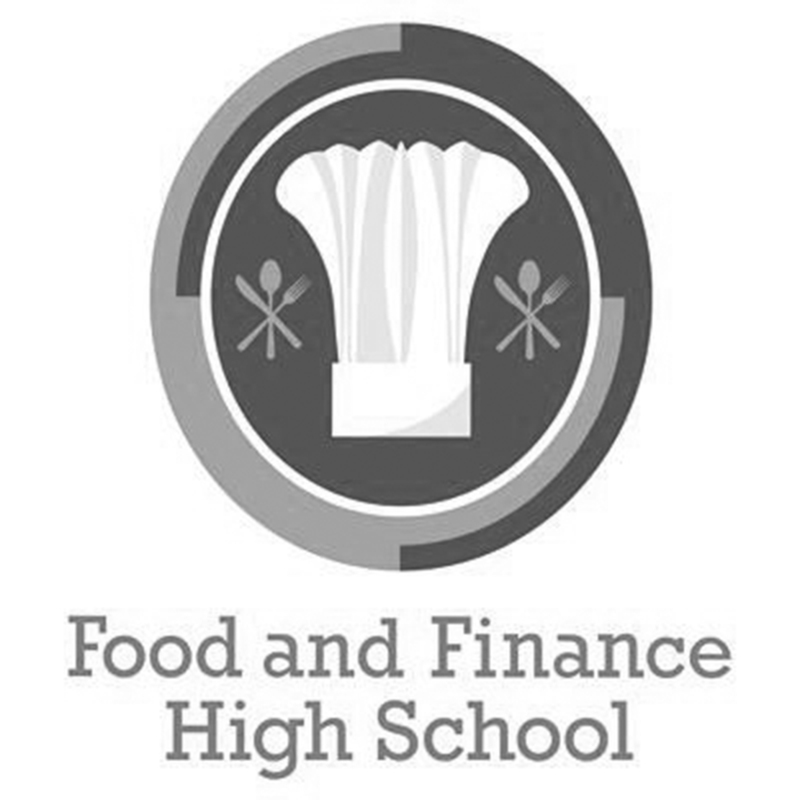 Although the program is too new to track employment pathways, the school expects that some students will pursue careers in food-related businesses, community-based organizations, and public agencies. However, there are two other paths for which the Food Studies Program creates opportunity. Hostos has robust nursing, community health, aging, early childhood education, and business programs in which knowledge of food and nutrition will enhance the graduates’ employability and earnings potential. And some students will choose to go on to four-year colleges rather than directly into the workforce, so the program offers a liberal arts and sciences grounding, an array of skills, and unique content. Now that the academic program is up and running, the next step is to identify internship opportunities that can lead to job pathways and advancement. The faculty and administration are building relationships with businesses and nonprofit organizations. Hostos has become a place to learn and build a sustainable food workforce and improve access and healthy outcomes for the Bronx and the larger community. Healthy food and food security are critical to individual and community health. Food access is now recognized as a key social determinant of health, with severe impact on diseases that take a human and societal toll. “Social determinants of health” are the factors that impact health outside of the health care system. They’re the conditions where we live, work, learn and play, such as economic stability, housing, education, food, parks, social networks, safe streets and access to health care. These are among the reasons why low-income communities suffer such tremendous health disparities and lower life expectancies compared to higher-income communities. Food-insecure households strive to eliminate hunger but, due to a lack of finances and resources, are unable to maintain a healthy and balanced diet. The health care field increasingly recognizes its important role in addressing food insecurity. Health care providers have begun using food as a tool to promote health in patients and to prevent health problems. Doctors are starting to diagnose food insecurity in patients as part of routine health care and to provide or guide them to food resources. More and more hospitals serving low-income patients are beginning to focus on food availability in their local communities. These hospitals are hosting farmers markets and supporting community food projects and organizations. Policymakers and health systems are shifting from a treatment model to a prevention model. Access to healthy food is a part of that shift. With the implementation of the Affordable Care Act and the consequent decrease in the numbers of uninsured patients, the federal government began to require that nonprofit hospitals move to other ways to serve their communities and patients in need. There are opportunities at the patient and family level and at the community level. Nonprofit organizations that understand food issues have stepped in to help health care providers. 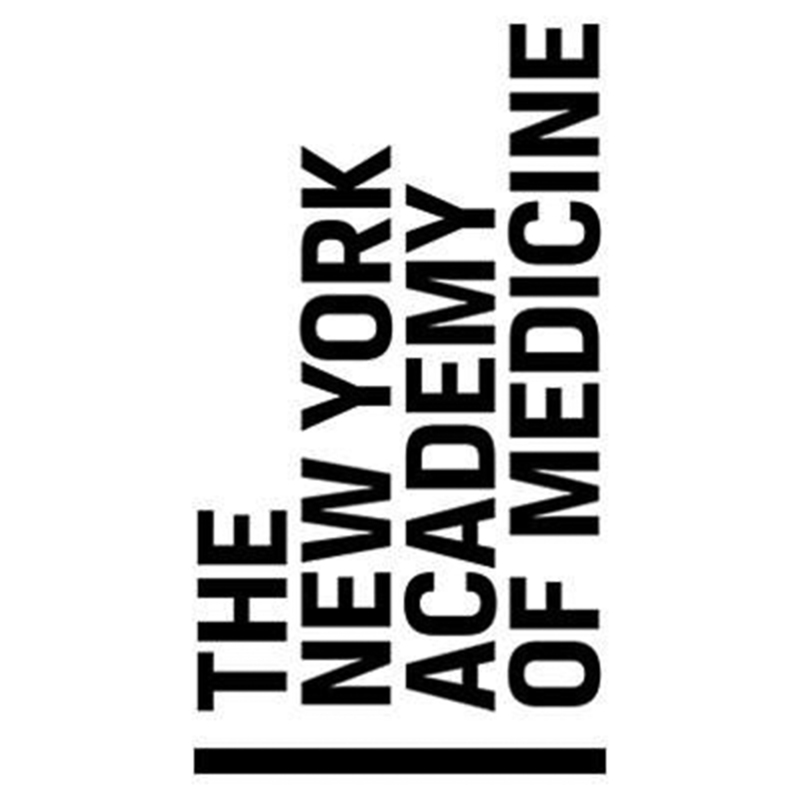 In 2017, the Illumination Fund funded the New York Academy of Medicine to convene “Partners in Health: Community Food Programs and Hospital Partnerships in New York.” The day-long program brought together health systems and hospital leaders with community-based organizations working to improve their local food environments. Additionally, the hospital participants previously were not aware that many food-focused organizations have conducted “community food assessments,” which can serve as resources for a hospital’s community needs assessments and assist in identifying priorities and designing collaborative initiatives. Many Illumination Fund grantees – including all three of the organizations profiled in the following case studies – participated in the event to share learnings and spur new collaborations. Wholesome Wave’s Wholesome Rx program that the Illumination Fund piloted in New York City focused on children with high levels of obesity (based on BMI measures). Memorial Sloan Kettering’s FOOD program (Food to Overcome Outcome Disparities) focuses on low-income adults undergoing cancer treatment. When Wholesome Wave created a program for doctors to “prescribe” fruits and vegetables, it was an unusual idea. Now it’s a national model. 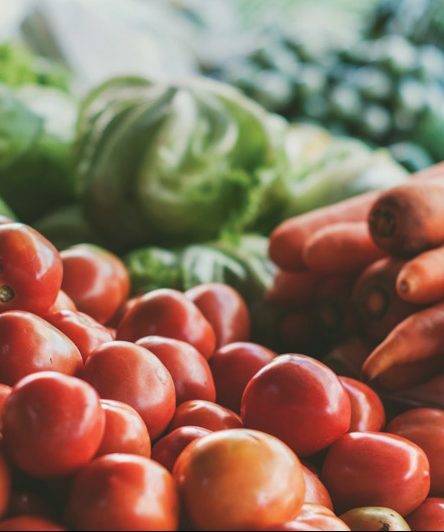 Wholesome Wave empowers underserved consumers to make healthier food choices by increasing affordable access to fresh, local food, and uses “incentive” models such as vouchers that provide SNAP recipients with matching dollars for fruit and vegetable purchase. Inspired by the idea that physicians can play a greater role in helping food-insecure patients access affordable, nutritious food, Wholesome Wave created its Fruit and Vegetable Prescription program. 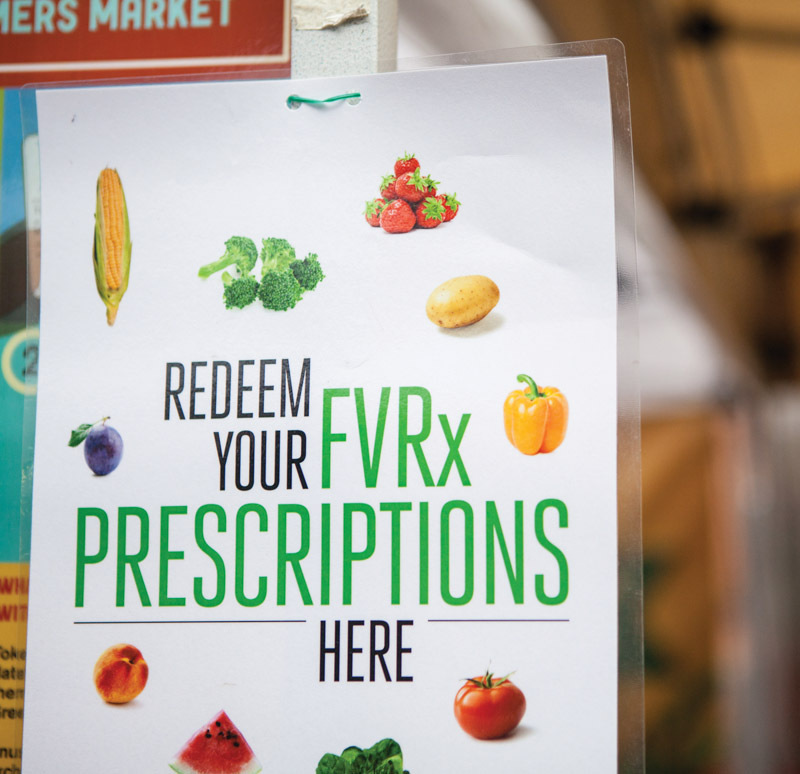 Wholesome Rx enables doctors to write prescriptions for fruits and vegetables for at-risk patients redeemable at local farmers markets, and provides vouchers to receive discounts. 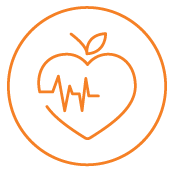 Wholesome Wave’s national fruit and vegetable prescription model originally was designed for community health centers, but Wholesome Wave had never designed a comparable program for hospitals. And although the prescription program was operated in several states, it had not been available in New York. Patients are recruited by a health care provider to the Wholesome Rx program. Participants attend multiple visits in a clinical or community setting to receive nutrition education and/or to discuss healthy eating. At each visit, participants receive a Wholesome Rx prescription and are requested to participate in a pre- and post-evaluation. Participants redeem the prescription vouchers for fresh, nutritious food at participating retailers, where redemption is tracked. Through the Illumination Fund’s support, Wholesome Wave launched Wholesome Rx at Harlem Hospital Center, Lincoln Hospital Center in the South Bronx and Elmhurst Hospital in Queens, each of which had a farmers market outside of its doors, as well as Bellevue Hospital, which distributed fresh produce boxes. 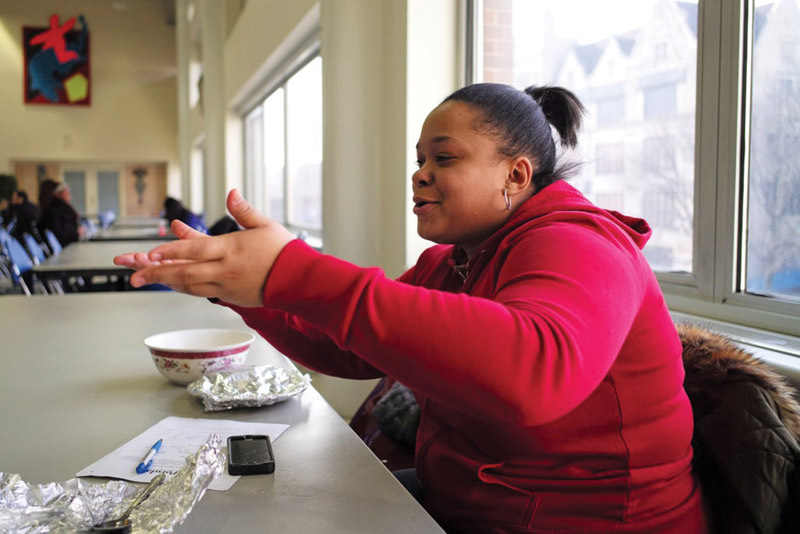 The program served low-income children with high levels of obesity. The patients were not only given “prescriptions,” but were also provided nutritional counseling over a fourmonth period, and the families received Health Bucks that could be redeemed for fruits and vegetables at any of the City’s 140 farmers markets. Program data demonstrated that Wholesome Rx helped break down systemic barriers to healthy eating for underserved families in New York City and catalyzed dietary behavior change among overweight and obese pediatric patients. Additionally, participation in the program deepened patient-provider relationships, which encouraged patients to return for follow-up visits. The model directly reached 2,755 patients and household members, the largest population impacted by a Wholesome Rx program at the time. Participating families reported increases in fruit and vegetable consumption. Harlem Hospital, which had the most consistent implementation, found that nearly 75% of patients reported an increase in their consumption of fruits and vegetables by an average of 1.7 cups daily, and body mass indexes in children decreased. 50% of the participants in the first year’s program had “never or rarely” shopped at a farmers market before; by the end of the market season, that number had dropped to 4%, and 77% of participants reported shopping at farmers markets weekly or more. Anecdotal reported outcomes include changes in shopping behavior, children getting more involved in grocery shopping, and families eating together more often. Program participation had measurable impacts on knowledge, attitudes and behaviors related to fresh fruit and vegetable access, preparation and consumption, including statistically significant differences in knowledge of farmers markets, which fruits and vegetables are grown locally, and how to prepare them. The Wholesome Rx program’s focus on the importance of affordable, healthy food as an integral component of preventive health care also gave health providers important insights into barriers to healthy eating, highlighting the central role of affordability in addition to motivational knowledge. Providers reported that they were able to improve their communications with patients and help them improve their diets. One of the most dramatic outcomes was an increase in self-reported food security, thanks to the increased purchasing power. But the challenge is that the program was seasonal, and after the intervention ended and most of the farmers markets closed for the season (generally in November), the participants no longer had the extra dollars nor the convenient source to purchase the produce. These outcomes demonstrate that patients’ households’ need long-term and ongoing solutions to address household food insecurity. 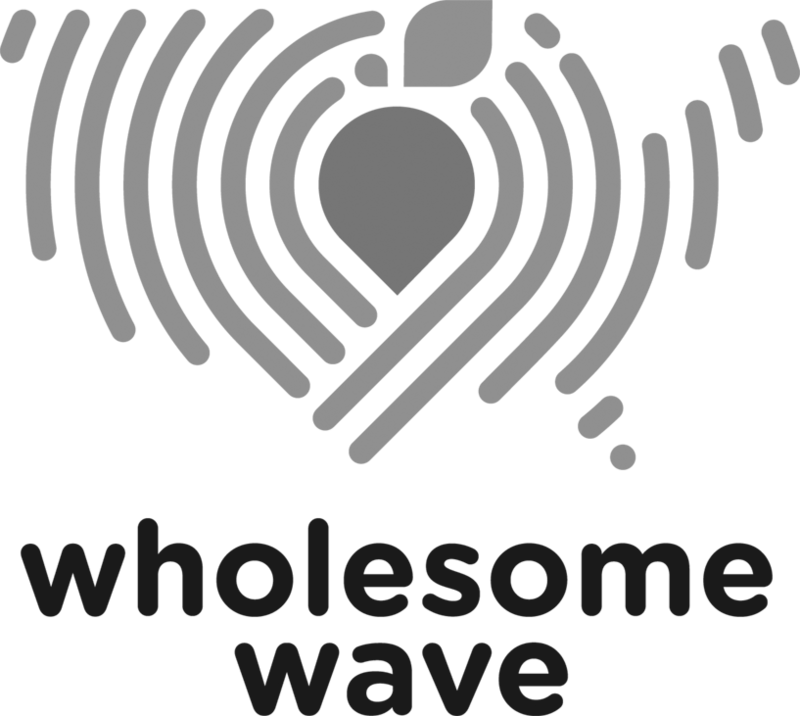 As Wholesome Wave evolved its model to address the need for year-round access, they began to implement year-round programming and now are partnering with grocery stores and pharmacies around the country. And the US Department of Agriculture launched a national Food Insecurity Nutrition Incentive Program in order to stimulate innovative programs such as Wholesome Wave’s. The Wholesome Rx model, implemented on a more long-term basis, could provide one method of addressing these issues if long-term funding for incentives were available. Though the New York City hospital-based Wholesome Rx program wrapped up, it inspired prescription and incentive programs at organizations and health care providers throughout the City as well as across the country. Wholesome Rx programs are now operating in California, Florida, Texas, Georgia, Oregon, Virginia, Washington D.C. and upstate New York, with thousands more people participating in programs in local hospitals and health centers. Healthy food is essential for cancer patients, who are weakened by the disease, treatment and side effects. For low-income patients struggling to afford and obtain healthy food, the ramifications are especially great, affecting all dimensions of life. Employment and income may be affected by their intensive treatment regimen, quality of life suffers, and the drop-off in treatment completion is severe. Memorial Sloan Kettering’s (MSK) FOOD program addresses the glaring food and nutrition gaps among the medically ill, with a particular focus on patients undergoing treatment for cancer. Its goal is to ensure that there is food availability, accessibility, and appropriate use for an at-risk population of patients with cancer and other chronic diseases. 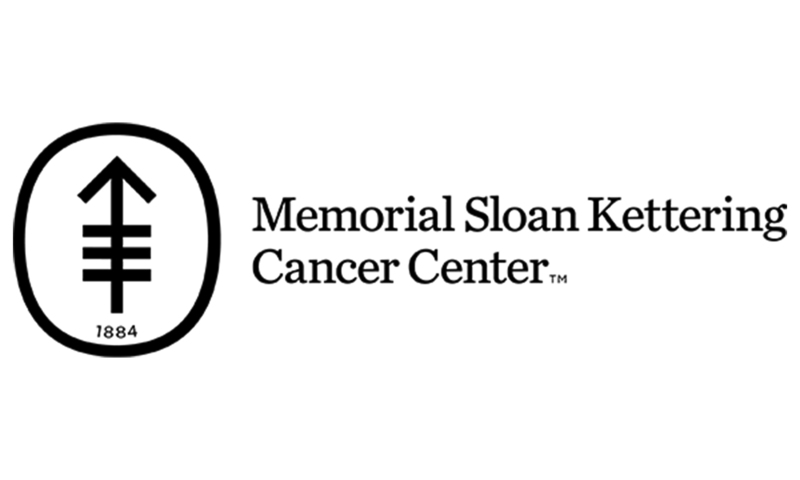 In 2013, the Illumination Fund supported Memorial Sloan Kettering to help expand the program. 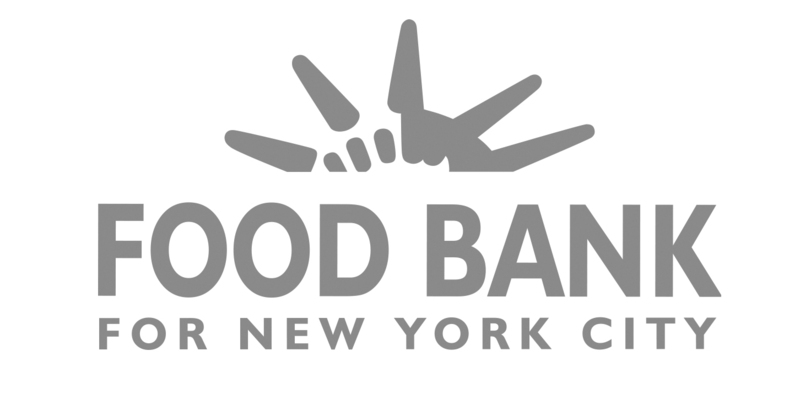 The FOOD program was created by Dr. Francesca Gany in 2010 with a dedicated, medically tailored pantry at Bellevue Hospital Center, one of the hospitals in New York City's Health + Hospitals system. During the pilot year, the investigators screened New York City hospitals serving low-income patients and found that half of these patients struggle with some form of food insecurity. Over 75% of the patients had lost their employment after receiving a cancer diagnosis, and more than 70% of patients screened as being food insecure. Today, Memorial Sloan Kettering’s FOOD program is a city-wide, hospital-based pantry program designed to address food insecurity among low-income cancer patients in active treatment. The program isn’t limited to Memorial Sloan Kettering’s hospital, but rather is in eight hospitals and treatment centers, six of which are considered “safety net” cancer care centers within New York City’s public hospital system, Health + Hospitals. The program is operated by Memorial Sloan Kettering’s (MSK) Immigrant Health and Cancer Disparities Service, where Dr. Gany is Chief. The Immigrant Health and Cancer Disparities Service works to identify the causes of health and cancer disparities among underserved populations and develop solutions to alleviate them. Partnerships across the city with health care and food organizations. Culturally competent care is a key dimension of FOOD’s model. At participating hospitals, staff members are bilingual in Spanish, Mandarin, Cantonese, Bengali, Russian, French and Arabic. Patient trust is most easily gained in their own native language. Pantries carefully track their inventory, and culturally tailor their pantry offerings to the populations they serve. MSK’s evaluations have demonstrated impact in several key dimensions. Participation in the Program increased food security scores. Among patients who supplied food security data, 93% of those whose food security improved by the 6-month study mark completed their treatment, compared to a treatment completion rate of 86% for patients who remained food insecure. Quality of life scores and depression scores also showed improvement, with severely depressed patients showing a 50% reduction in depressive symptoms over time. In 2017, FOOD provided 36,432 meals to 561 unique patients and 1,000 family members. 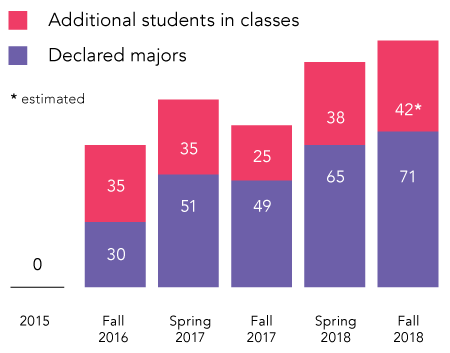 Breast cancer was the most common cancer, followed by prostate, colon and lung cancer, and more than two-thirds of patients reported a comorbid diagnosis (multiple illnesses concurrently). The Illumination Fund has played a connecting role by introducing the program leaders with policymakers and other organizations. For example, Dr. Gany was connected with a City Council member to identify opportunities to reach more patients, including those who are undocumented and thus ineligible for food stamps. 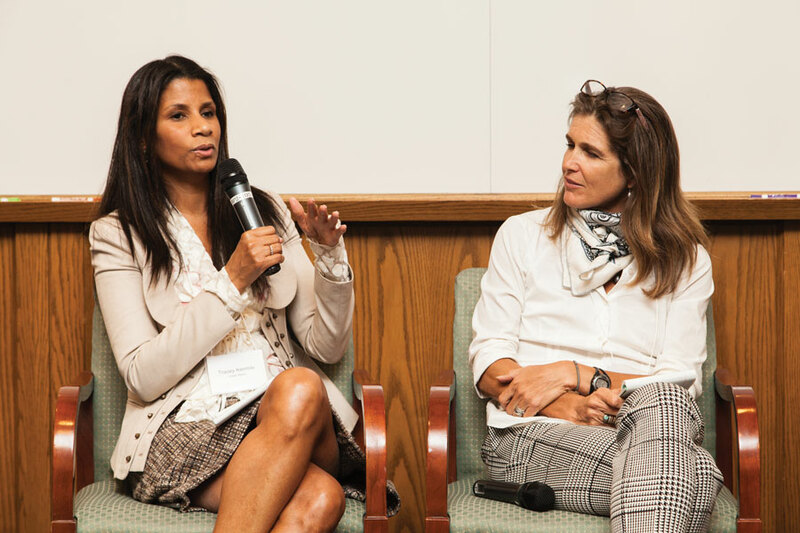 FOOD has shared its learnings by presenting at convenings organized by the Illumination Fund’s grantees and partners, including the NYC Food Policy Center at Hunter College and the New York Academy of Medicine. In addition to the hospital-based pantries, MSK is testing alternative models to provide food to patients undergoing cancer treatment, including food vouchers and food delivery. The FOOD program’s next steps include identifying resources, trainings and support to help the hospitals have the capacity to independently address the needs of their food insecure patients. The FOOD team is hopeful that this model is scalable and can reduce food insecurity for patients across the City. Additionally, the staff and researchers have written articles and given presentations to spread their learnings throughout the country. Mount Sinai Hospital sits on the border between East Harlem and the Upper East Side. There may be no starker illustration of income and health disparities than the contrast between these two neighborhoods. Though the neighborhoods are adjacent – with 96th Street considered the boundary between the two neighborhoods – the diabetes and obesity rates are more than three times higher in East Harlem than on the Upper East Side, and the rate of avoidable diabetes hospitalizations is nearly eight times higher. Life expectancy is nine years shorter. Mount Sinai screens patients for food insecurity and enrolls them in Powerfood. The food security screening questionnaire is built into the hospital’s electronic medical record system. Participants are also introduced to Corbin Hill Food Project, a New York City nonprofit that provides subsidized farm shares consisting of locally grown fresh fruits and vegetables. Corbin Hill delivers the farm share boxes to the hospital lobby so patients can pick them up. Through Powerfood, the patients receive the first box for free, and any subsequent orders are half off with the option to pay with cash, credit, debit or SNAP. The farm shares include seasonal produce year-round, every other week. Recipes, additional resources on where to obtain fresh foods, and in-person education on how to prepare the fruits and vegetables are available to anyone picking up food boxes. In addition to serving low-income patients, Corbin Hill farm shares are available at regular prices for staff and others visiting the hospital. Mt. Sinai’s program partners, the Corbin Hill Farm Project and New York Common Pantry, brought expertise, systems and community knowledge to the table. 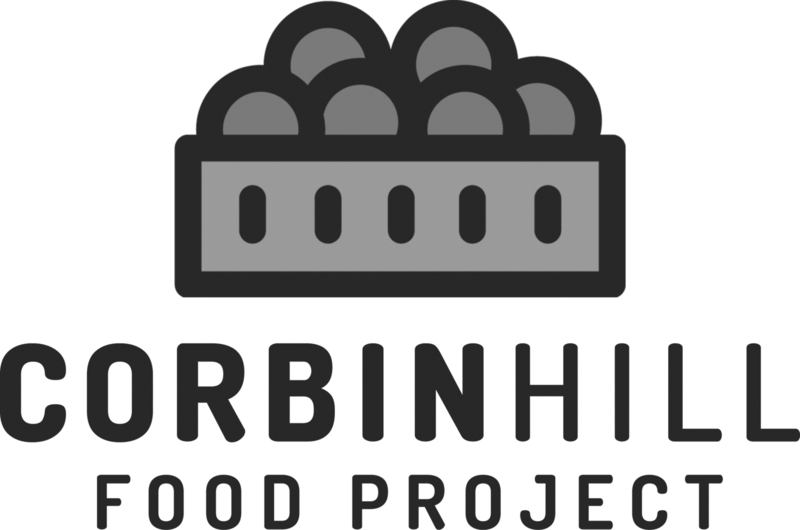 Corbin Hill is a nonprofit social enterprise that distributes fresh produce to communities throughout New York City, with a particular emphasis on serving the needs of low-income communities and communities of color. Its model includes Farm Shares – a weekly subscription program providing boxes of fresh, locally sourced fruits and vegetables delivered to community partner sites – as well as institutional partnerships. New York Common Pantry was one of the City’s first major emergency food providers. In addition to providing meals and services at its state-of-the-art client-choice pantry in East Harlem and through partnerships across the City, New York Common Pantry has case managers who conduct financial screenings, check eligibility for public benefits, and help to identify other resources for housing, employment and health services. Mount Sinai developed the program with ongoing counsel and assistance from Wholesome Wave. 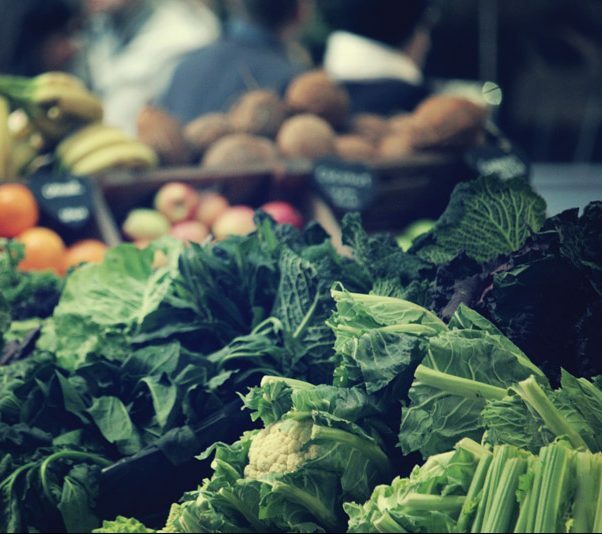 Wholesome Wave’s original Fruit & Vegetable Prescription Program model used farmers markets as the produce provider and did not have the food pantry component or year-round option. Working with Mount Sinai enabled Wholesome Wave and the partners to develop those components to enhance the strategy. The pilot is a rigorous research study targeting 100 participants – 50 adults with poorly controlled diabetes and 50 children struggling with obesity. 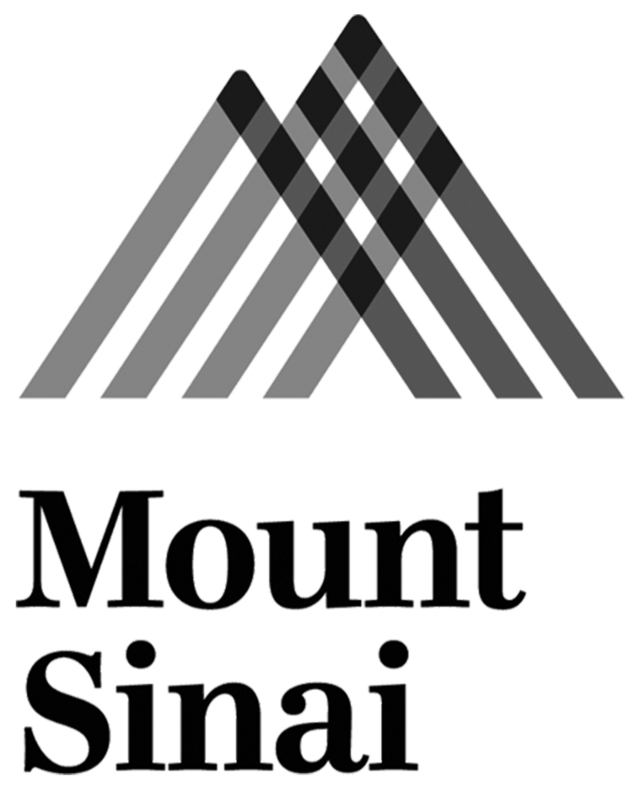 Mount Sinai is tracking key health metrics throughout the one-year intervention, including diet, diabetes control and BMI. The study is not yet complete, but already the learnings and relationships that have been created will inform future iterations of the program. The long-term aspiration for this program is that doctors will be able to prescribe fruits and vegetables, or that Medicaid or private insurance will cover the costs of foods for qualifying families. However, components of the program depend on philanthropic dollars. Tracking food insecurity in medical records provides a more holistic understanding of patient health. The partnership with Corbin Hill and New York Common Pantry is invaluable. These organizations provide critical insights to provide the right resources, to help inform the selection of the produce in the farm shares, and to gain understand of families’ needs to improve program implementation. Expanding concepts of patient wellbeing to include food as medicine and providing affordable access to fruits and vegetables is transforming the patient/doctor relationship. Mount Sinai has used learnings from the program to inform its broader work on the social determinants of health. The results will inform program scale-up. Beyond Mount Sinai, this groundbreaking work will be key for the NYC community and an important model for other hospitals and health care settings that are making access to healthy food part of the conversation with patients. Institutions of higher learning like Hostos Community College and academic research centers such as the New York City Food Policy Center at Hunter College, the Laurie M. Tisch Center for Food, Education & Policy at Teachers College, and the CUNY Urban Food Policy Institute are important resources in the movement to create a healthier food environment. Their evidence-based practice, research, policy analysis and evaluations are educating policymakers, teachers, community organizations and stakeholders and informing policy decisions in New York and nationally. Efforts to address complex issues invariably grapple with questions of “What works?” and “How can we do it better?” Several Illumination Fund grantees, including LISC NYC, United Neighborhood Houses (UNH) and the Fund for Public Health, engaged the CUNY Urban Food Policy Institute to evaluate their programs to assess their effectiveness in improving food access, increasing knowledge of food and nutrition education and supporting community development. Rather than using evaluation as “a test” to determine if a particular program worked or didn’t work, the evaluation process is collaborative and continuous. The evaluation process allows organizations to refine and adapt their interventions as the program is being implemented. The process helps organizations realize their outcomes more effectively, as well as strengthens practice and advances the field. Distinguished University Professors of Public Health, University of Michigan. This knowledge building and strengthening of practice is not only informing policy and programs, but also educating and training the next generation of professional leaders. The Laurie M. Tisch Food Policy Center at Teachers College is creating opportunities for doctoral and master’s students in the Program in Nutrition to conduct in-depth research and evaluation with policy implications and to engage with other nutrition professionals, policymakers and academics, positioning them as future leaders. The New York City Food Policy Center at Hunter College also works to disseminate policy information, conduct research, raise the visibility and profile of organizations and, through their annual New York City’s 40 Under 40 list, recognize emerging leaders working to transform the city’s food system. Since the list’s launch in 2016, staff from Illumination Fund grantees such as LISC NYC, Green City Force, NEBHDCo, Public Health Solutions, Wholesome Wave and City Harvest have been selected. The Center’s analyses, publications and online resources, including NYC Food by the Numbers and Food Policy Snapshots, provide “digestible” information and resources for community organizations, advocates and policymakers. The creation of the Laurie M. Tisch Center for Food, Education & Policy (Tisch Food Center) at Teachers College, Columbia University, transformed food and nutrition programs at Teachers College, which houses the oldest university-based nutrition program in the county, dating back to 1909. 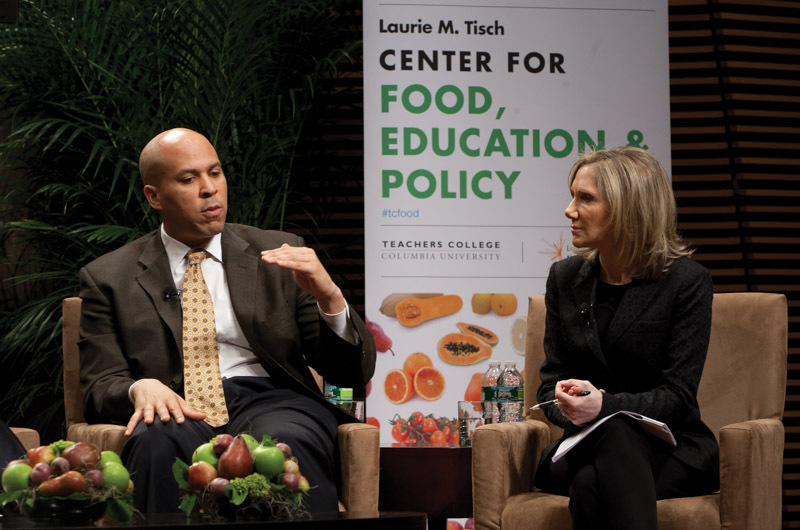 With support from the Illumination Fund, the Tisch Food Center has become a recognized hub for the intersection of food policy, nutrition education research and sustainable food systems. 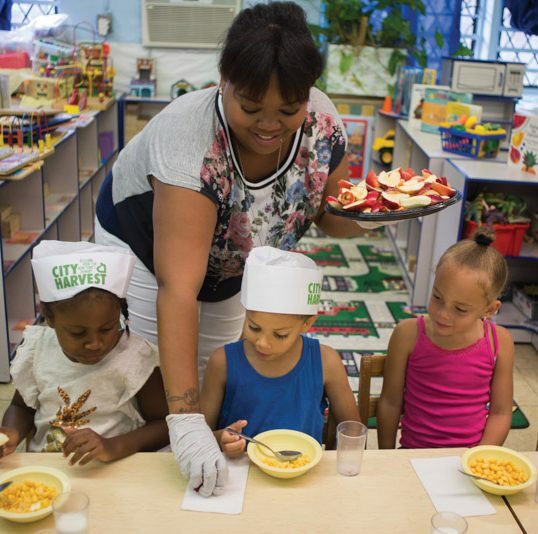 Housed within a leading school of education, the Tisch Food Center is training the next generation of nutrition professionals to lead in food and nutrition education, policy, research and practice. Its research agenda is focused on empowering nutrition education leaders to understand schools’ food systems and become advocates for change. Conducted a landscape review of federal policies, programs and funding for school-based nutrition education, a first of its kind. 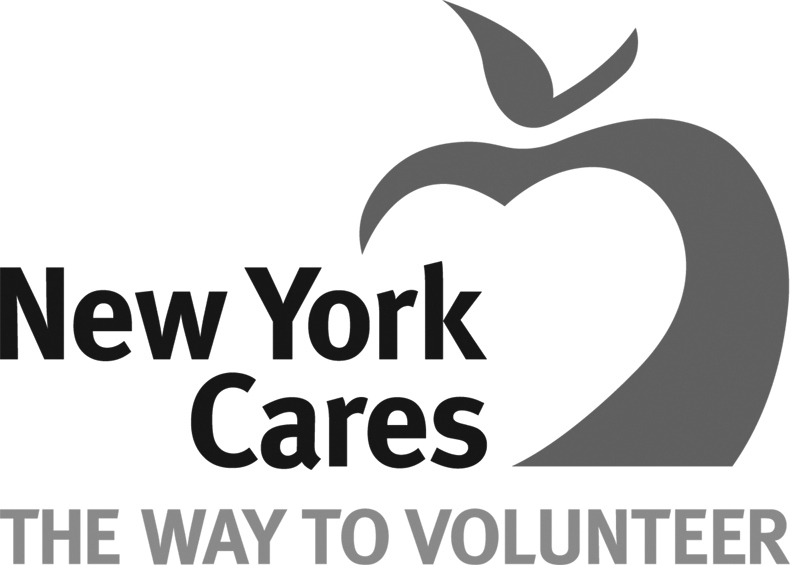 This study informed subsequent research and advocacy, including their landscape assessments of publicly supported New York State and New York City nutrition education policies, programs and funding. The assessments and reports are yielding recommendations for policymakers, educators and other stakeholders. In the coming year, the Food Center will work directly with the New York City Department of Education to evaluate a new healthy food initiative — redefining school lunch as a learning opportunity about food and nutrition. The Tisch Center has also released a set of geographically targeted research briefs and online resources to arm communities, advocates and policymakers with the data they need to make a case for prioritizing nutrition education in schools. Teachers College believes that school administrators and teachers can be champions of healthy food and is creating the tools and advocating for policies to empower them. Healthy food has emerged as a growing field in private philanthropy – including foundations, corporations and individual donors – as well as public investment. With the establishment of the movement come opportunities for leadership as successful approaches emerge. There are many opportunities for funders to build leadership within the field and develop infrastructure to develop new ideas into mainstream practices. Although the Illumination Fund's focus has been in New York City, the Healthy Food & Community Change initiative yields learnings both for New York City and other cities. Funders new to the field can approach healthy food as a goal in itself, but the Illumination Fund’s work illustrates that supporting food initiatives is not just for “food funders.” Rather, it can be a tool for donors with interests in a much broader set of issues, such as empowering communities, building a strong workforce, promoting community health, and fostering entrepreneurship. Many of these programs are models that can be adapted. 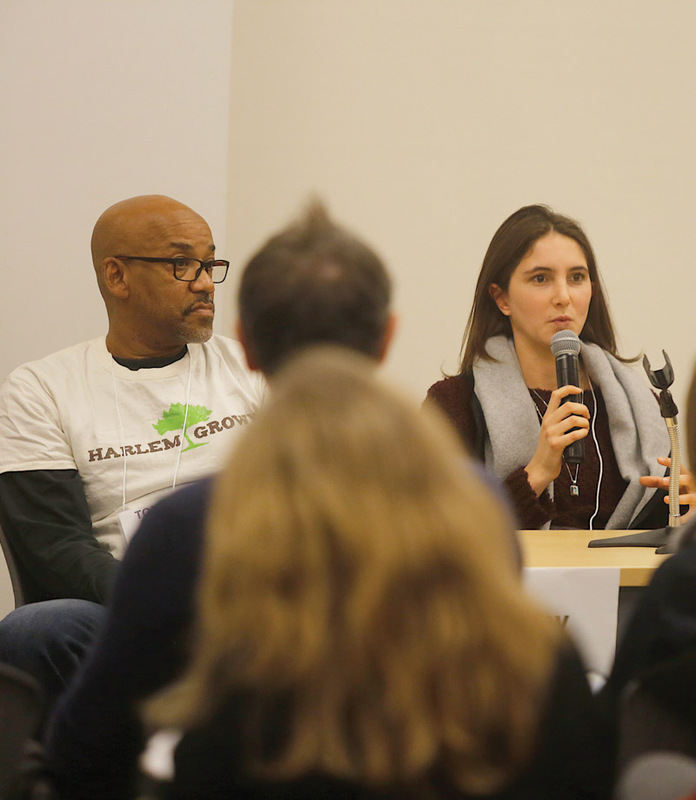 The healthy food arena in New York City is multi-faceted, with many disparate funders, organizers, and researchers engaged in identifying how to generate the most impact. These thought leaders, whether in government agencies, neighborhood-based organizations, health care settings or academia, can leverage their expertise to generate solutions together. Established institutions such as LISC NYC, community development corporations, United Neighborhood Houses and settlement houses have integrated healthy food work into their core programs. In addition to these, newly created partnerships and alliances have formed that seek to transform communities in need in New York City. Based on learnings from the Healthy Food & Community Change initiative’s five-year lifecycle, funders with an interest in getting involved have many opportunities to create positive impact in their own communities. Use community organizing strategies to engage the people most directly affected by food insecurity, poverty and inequitable food systems. Build leadership by inviting residents to identify what their neighborhoods need, and design new programs that are aligned with community priorities. Build capacity at community-based organizations by funding new staff positions to engage residents, launch and expand programs, and sustain successful initiatives. At organizations where staff members are juggling many responsibilities, there is often a need for a dedicated staff position to focus on healthy food initiatives – not in isolation, but in partnership with staff across the organization. Or, provide unrestricted, general support so the organizations have full flexibility. Support training and certification programs in the healthy food industry for community members, created with input from local employers and food industry leaders to ensure alignment. Create fellowship and internship opportunities for young people to gain experience and skills in healthy food arenas such as urban agriculture, small business development and incubation, food retail, community education, and catering. 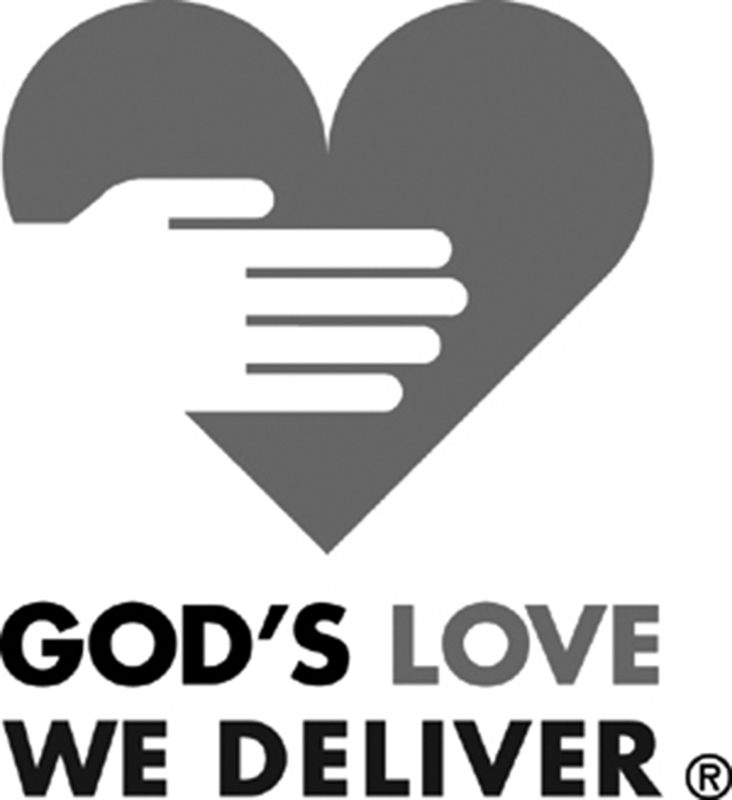 Support a program at a local hospital or health clinic that diagnoses food-insecure patients and connects them with free or low-cost fruits and vegetables, through on-site distribution or retail partners. Wholesome Rx is a successful model, built for national replication. Engage local community-supported agriculture (CSA) operators or farmers markets to expand their operations to include health care facilities, tying customer education and cooking programs to health care treatment plans. The field needs further research. In particular, funders need further evidence of what approaches work, and an overview of gaps, in order to identify and nurture initiatives that can accelerate positive change. The Illumination Fund also has observed that community-based organizations working on healthy food projects need help with skills and resources for evaluation. Every funder wants to know “what works,” but few funders are willing to pay for data collection, evaluation and staff learning. It is also essential for organizations to learn how to translate data into compelling stories of impact. Without being able to clearly and succinctly communicate impact to funders, policymakers and the media, it’s difficult to sustain and grow organizations and programs. Supporting training for an organization's staff to build communication skills is a valuable strategy to amplify impact. The healthy food field is still being shaped, yet there is much to do. Harmful food systems that are in place today were built over decades. It will take decades to undo this work and create a culture of good food for all Americans regardless of socioeconomic status. Community transformation cannot be achieved through short-term investments. Effecting behavioral changes requires patience from funders. But the impact of these investments will extend beyond healthy eating; it will change lives and future trajectories.